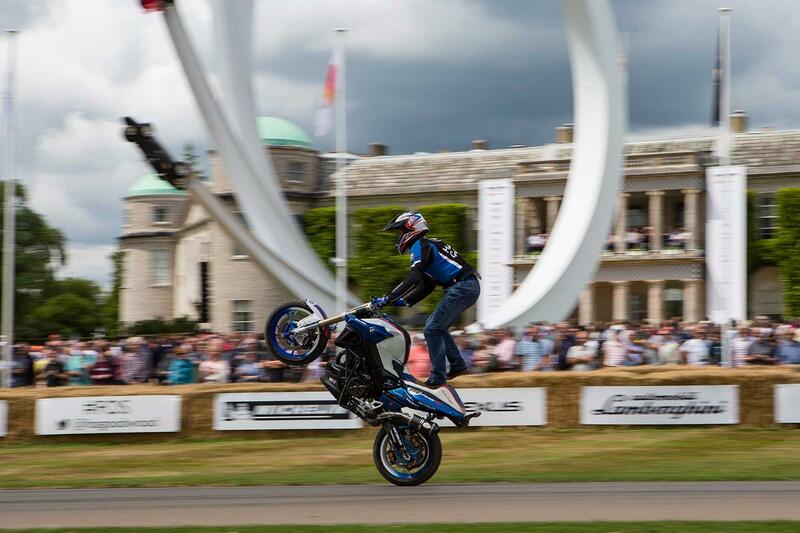 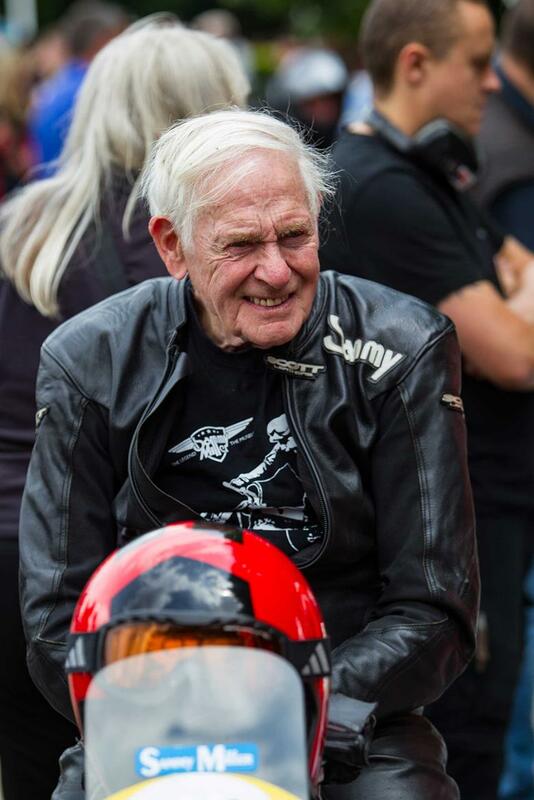 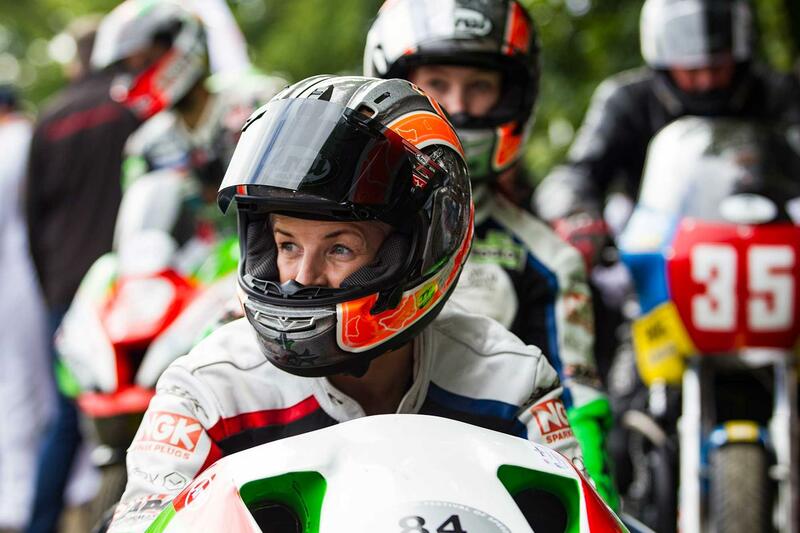 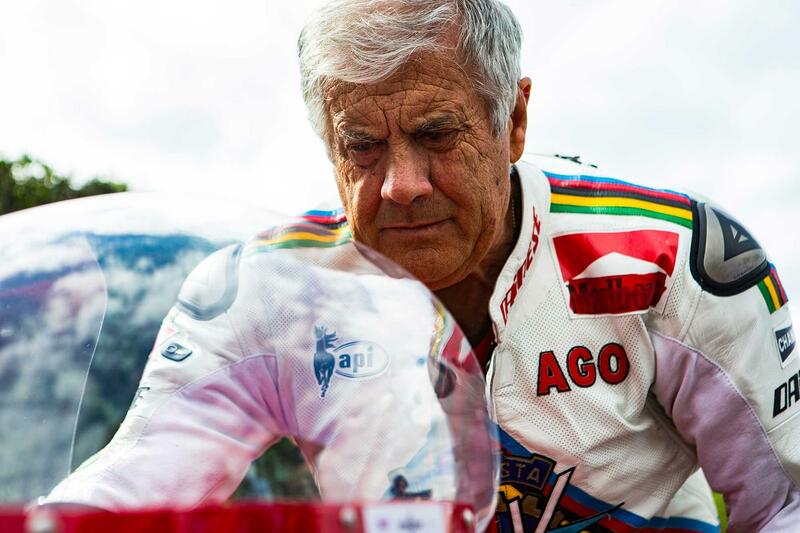 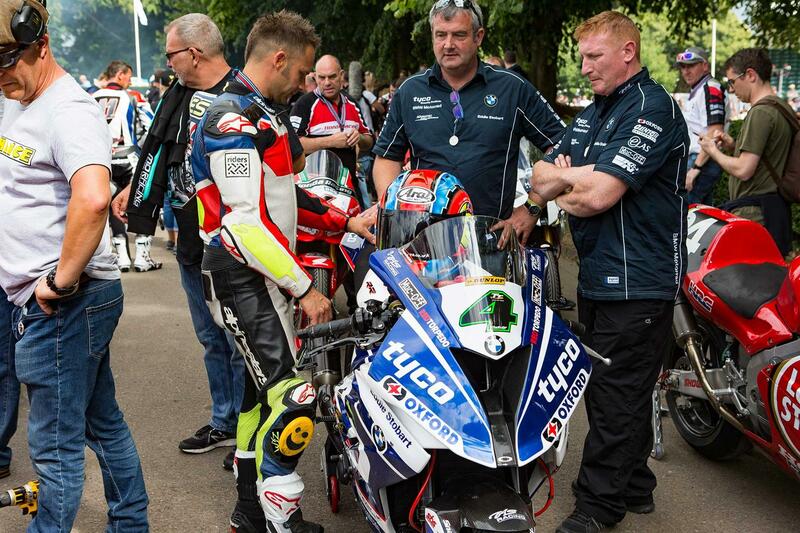 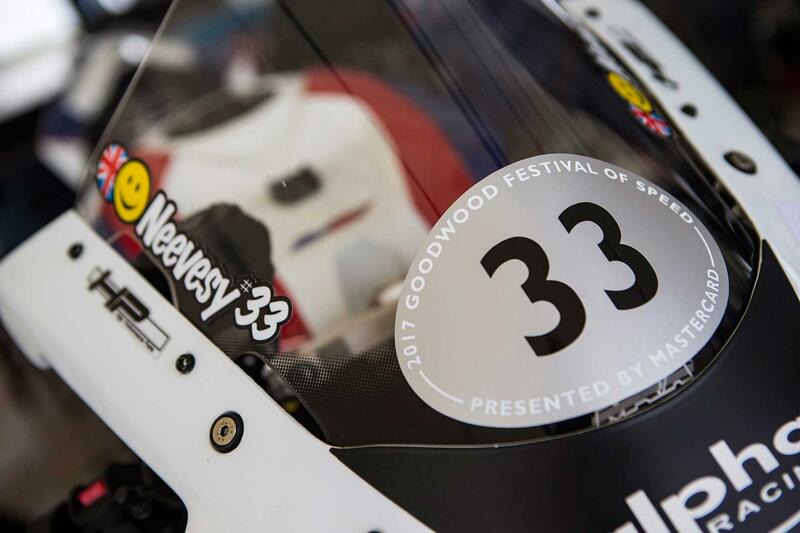 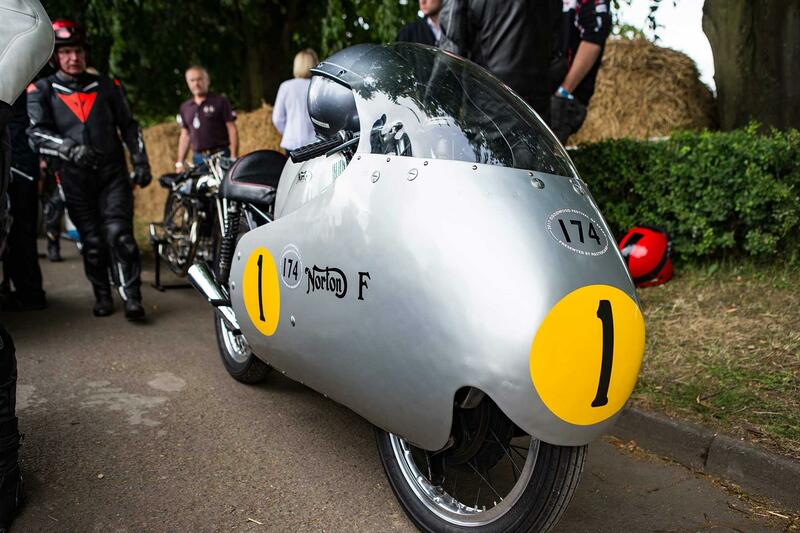 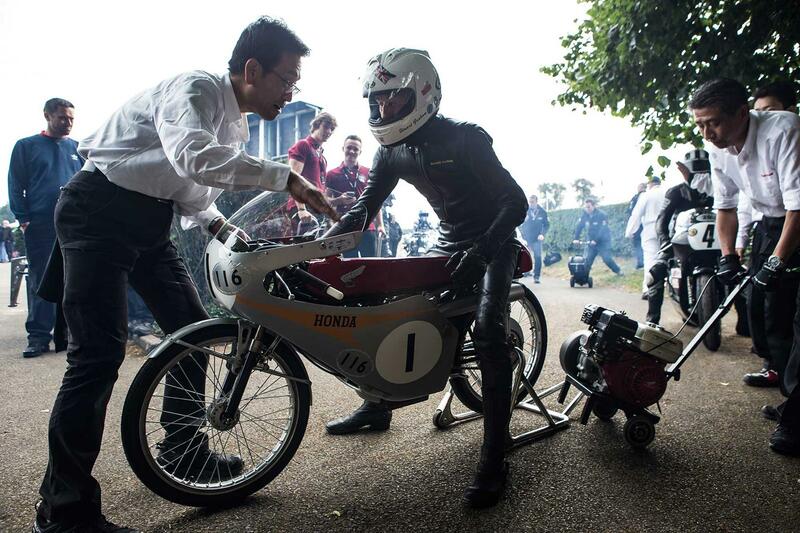 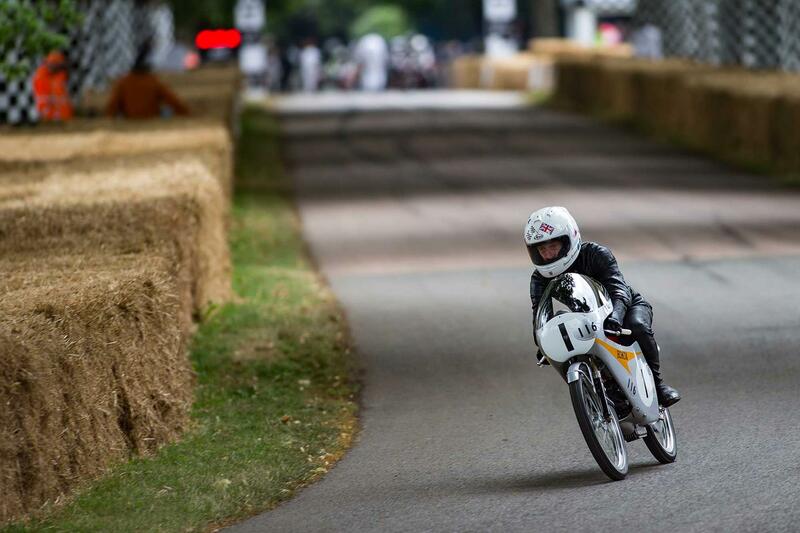 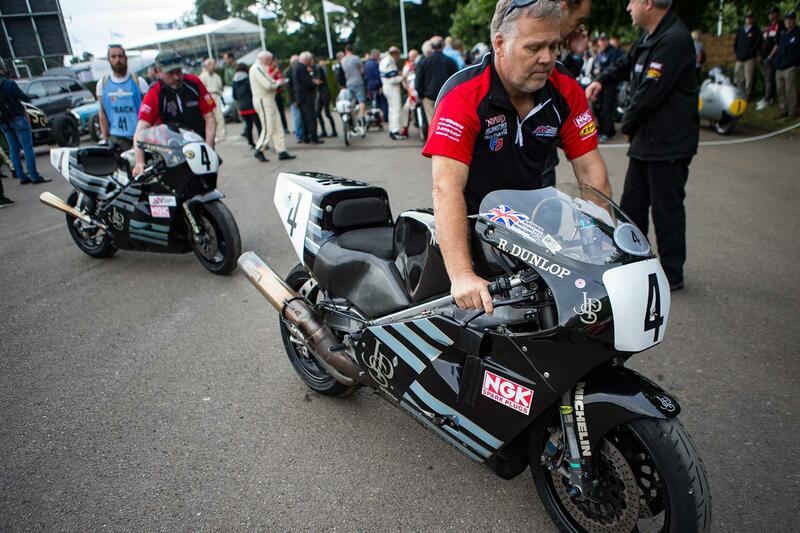 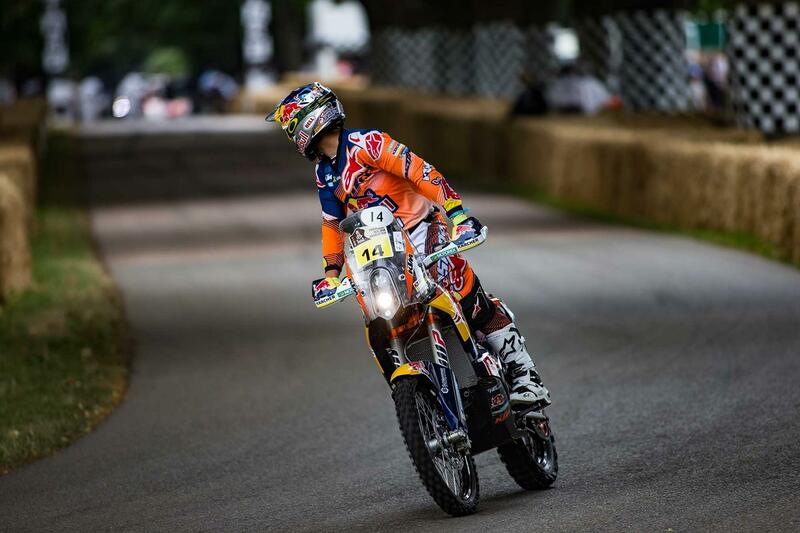 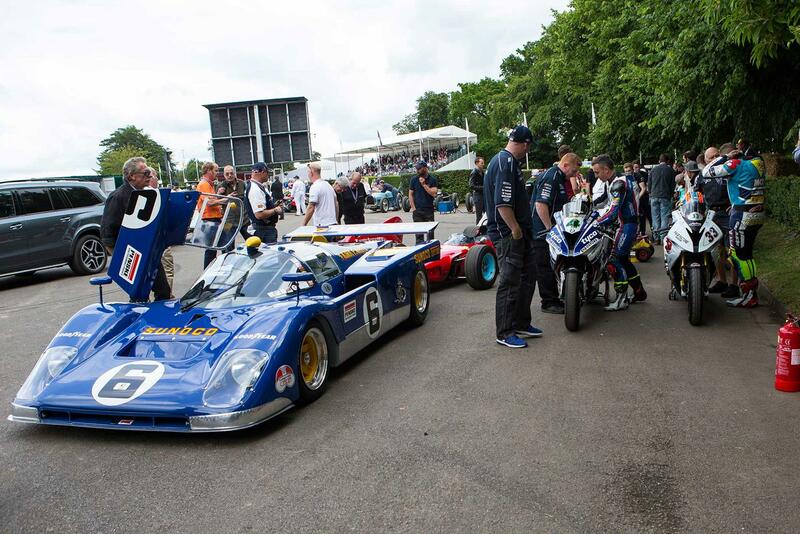 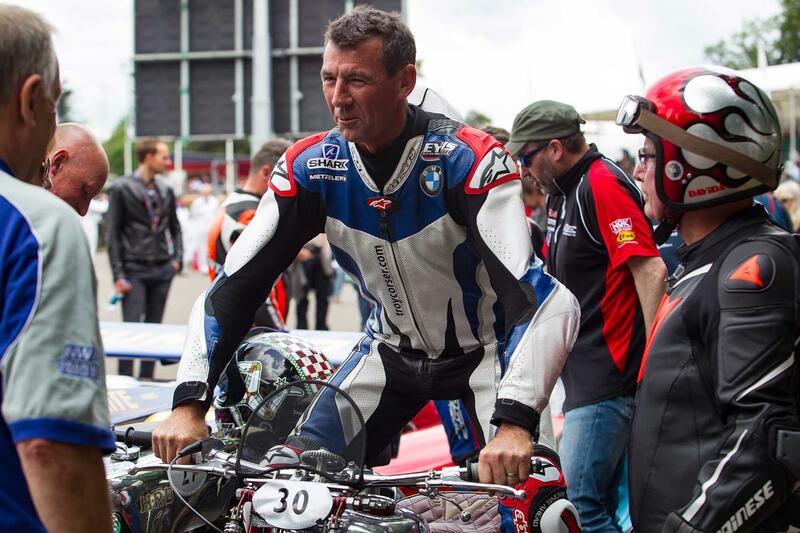 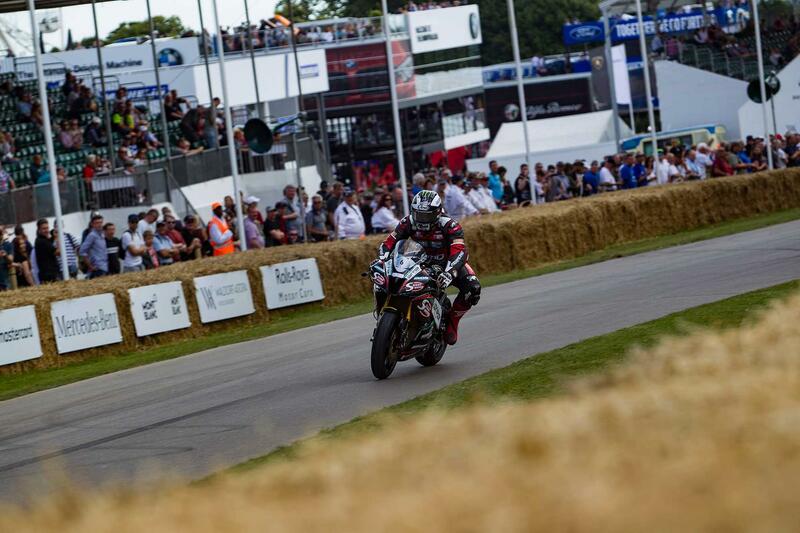 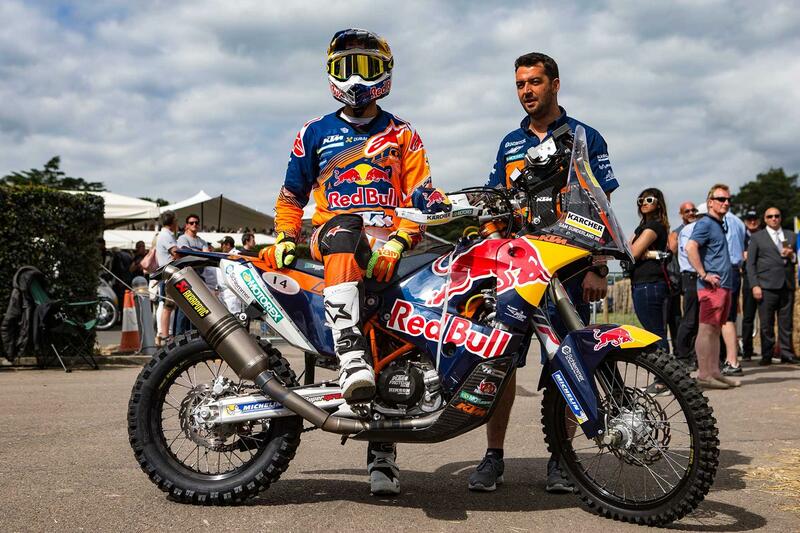 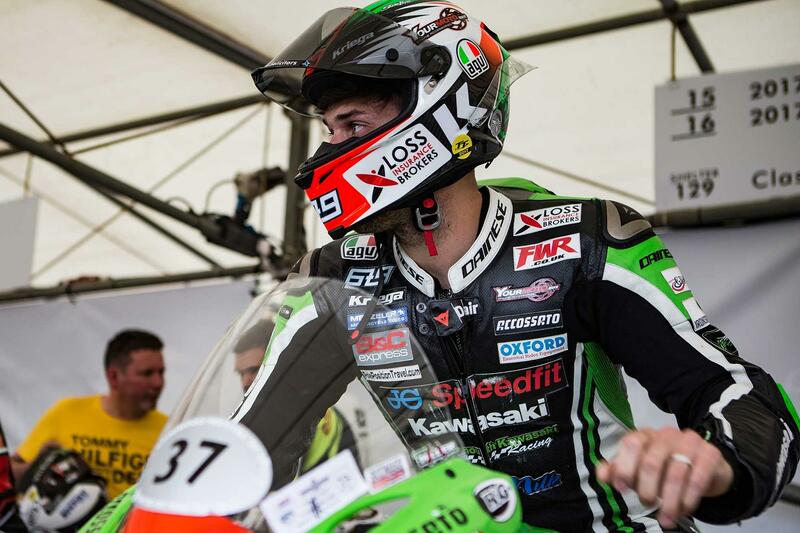 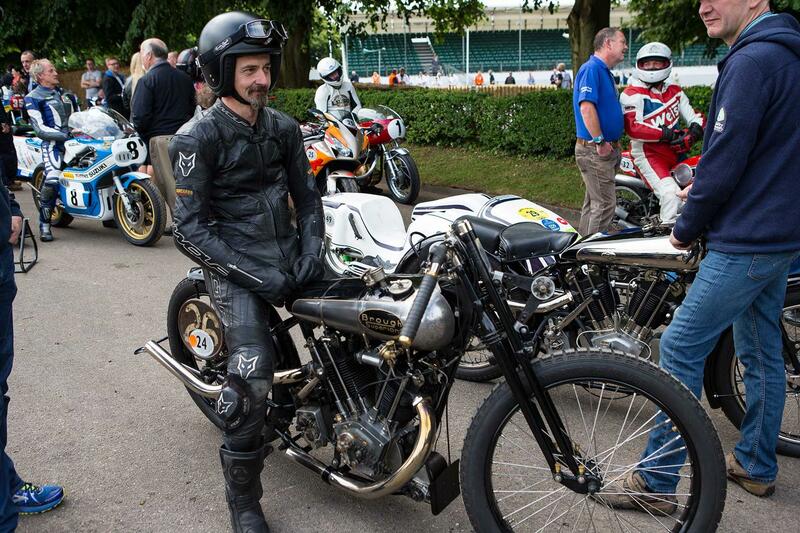 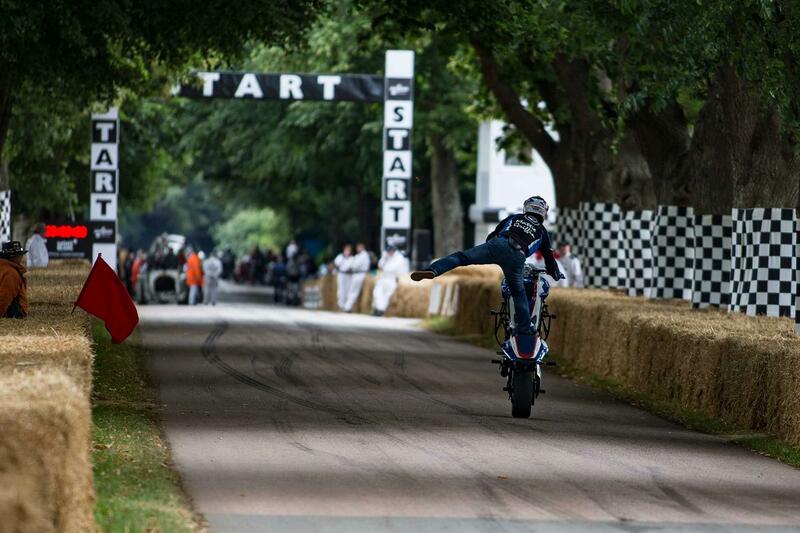 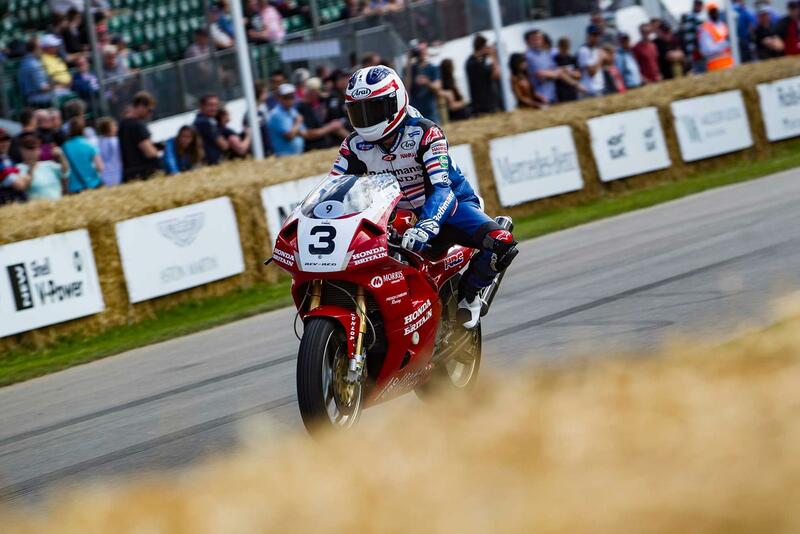 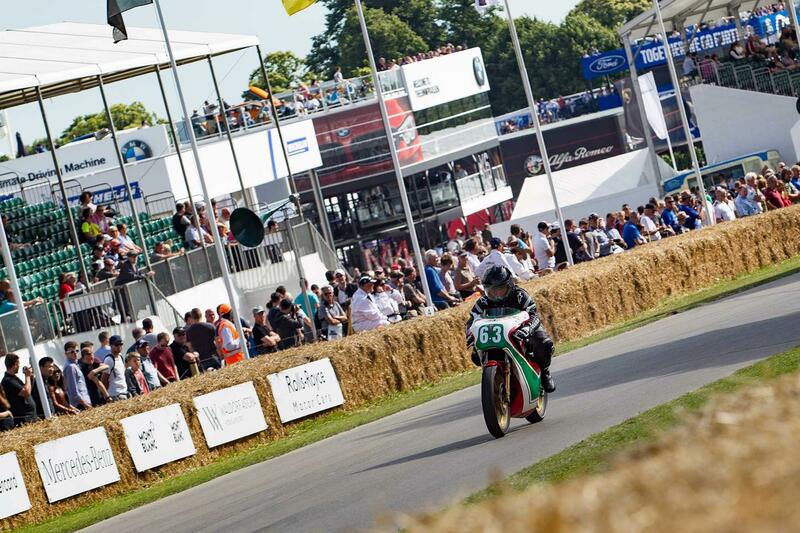 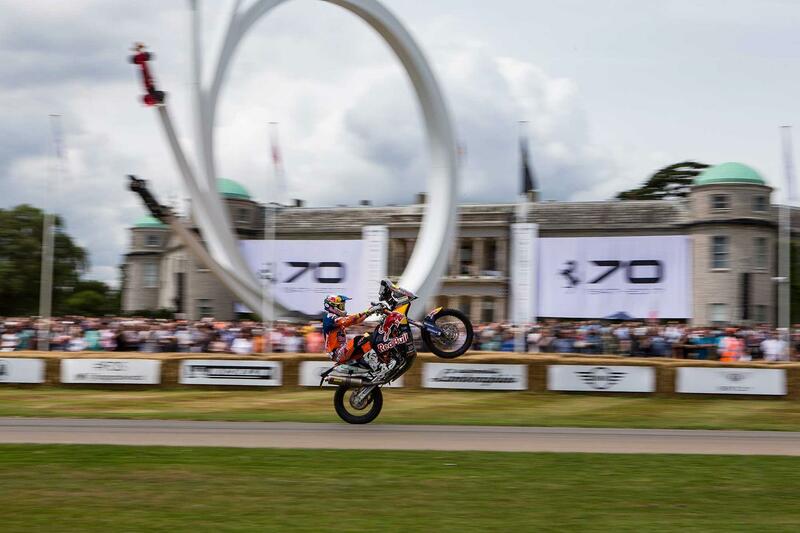 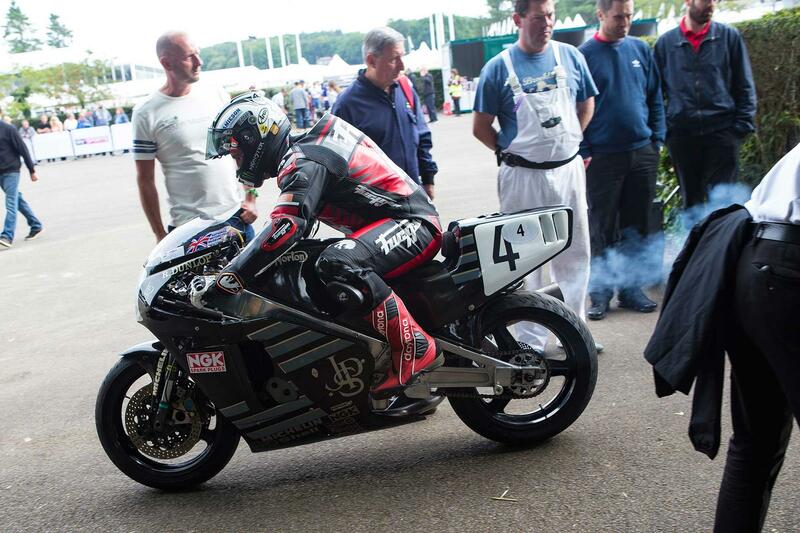 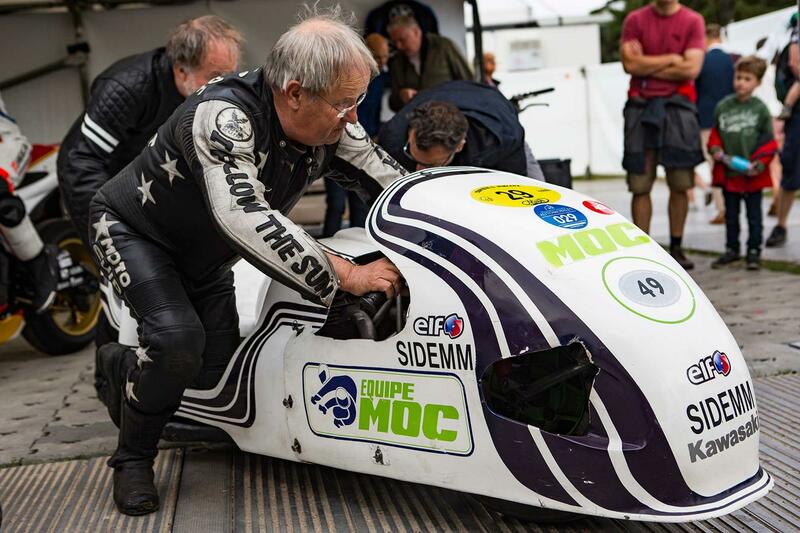 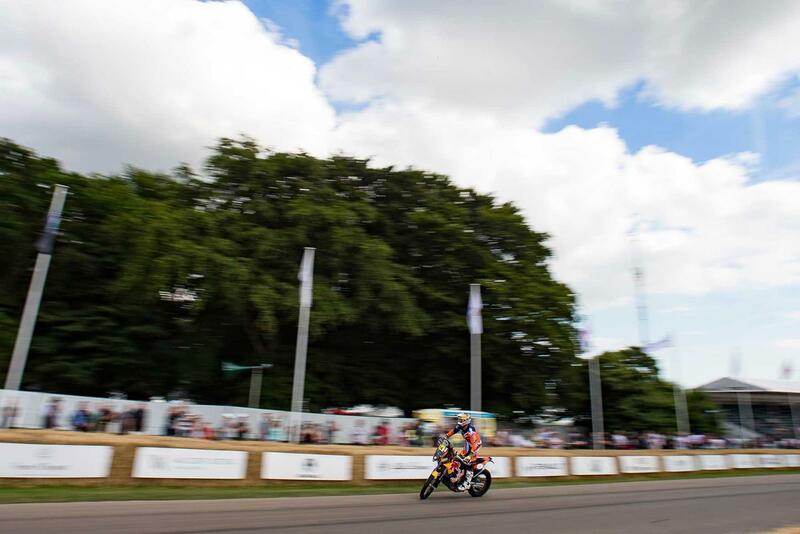 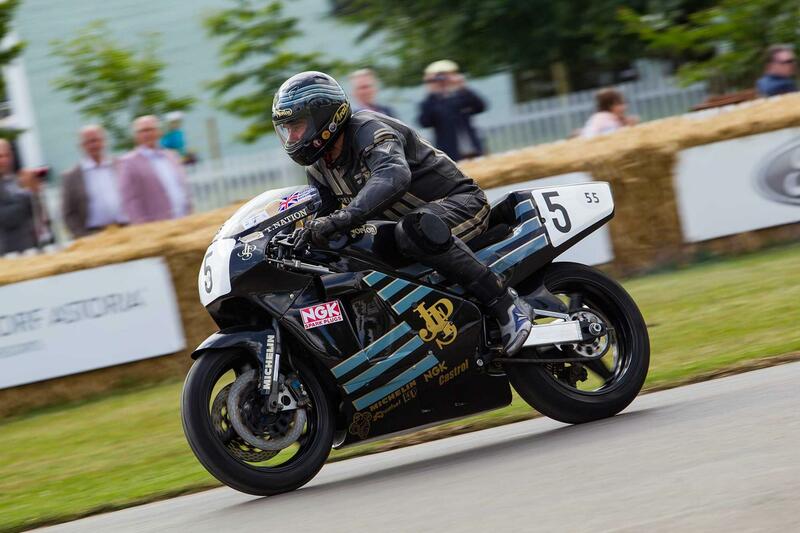 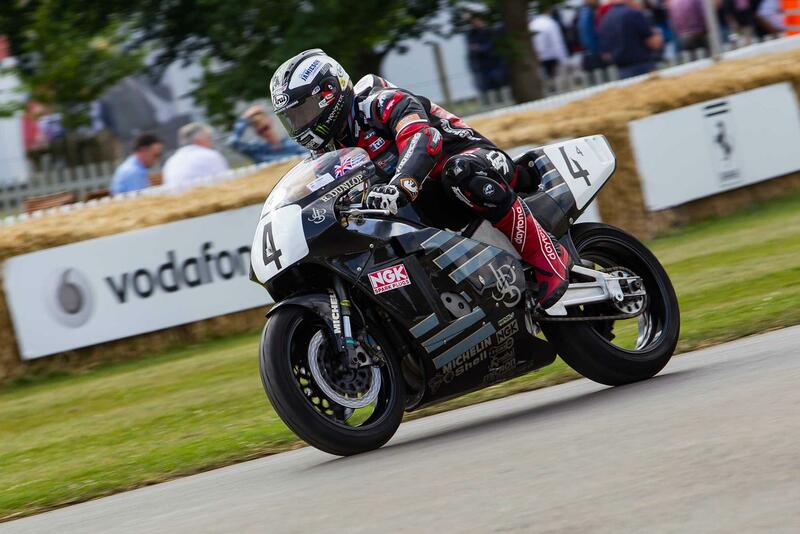 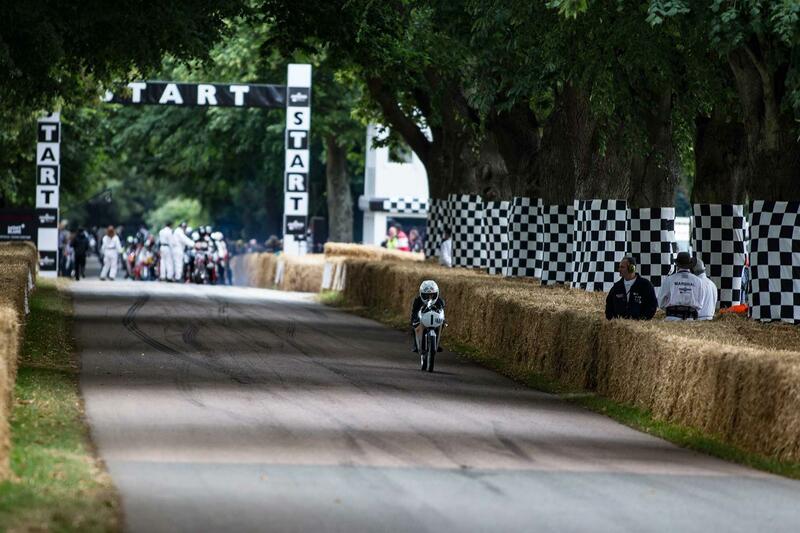 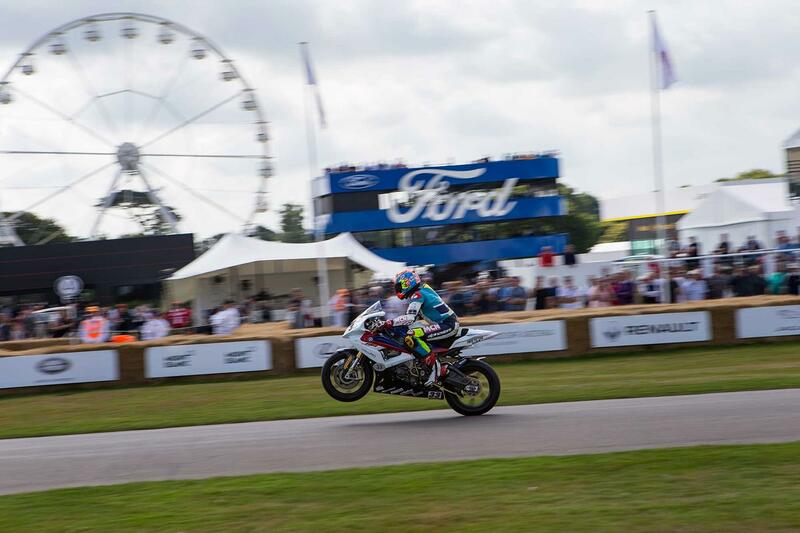 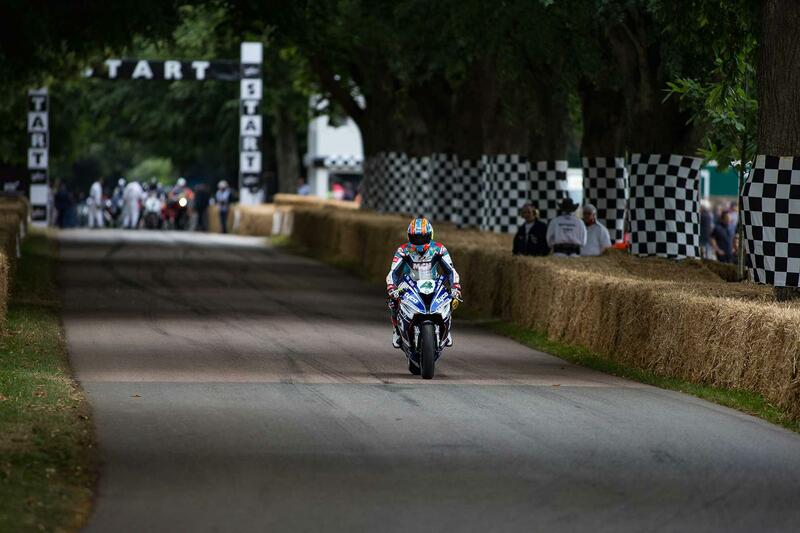 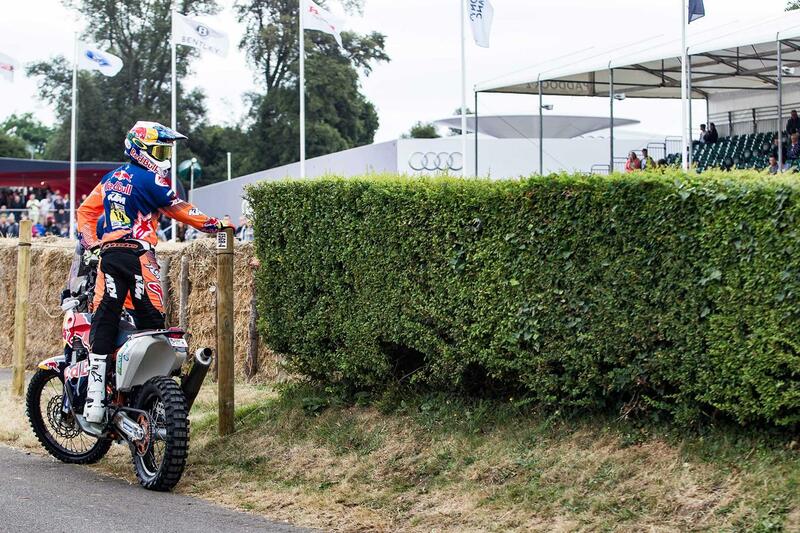 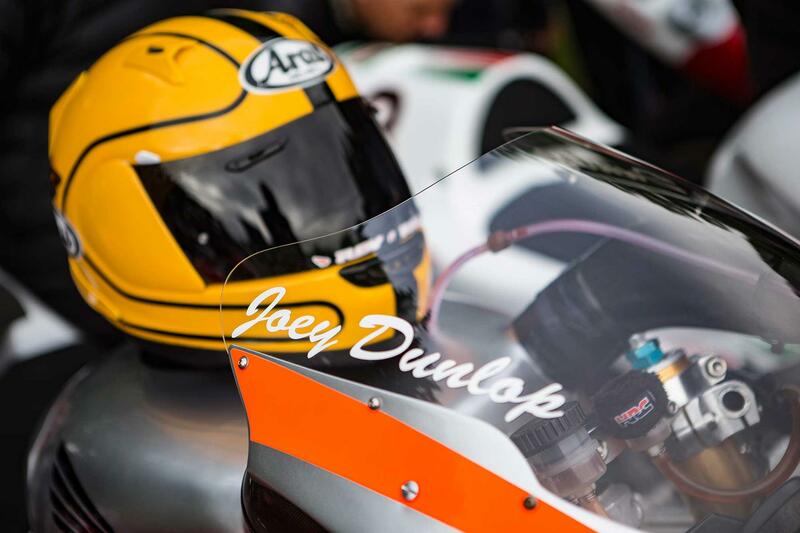 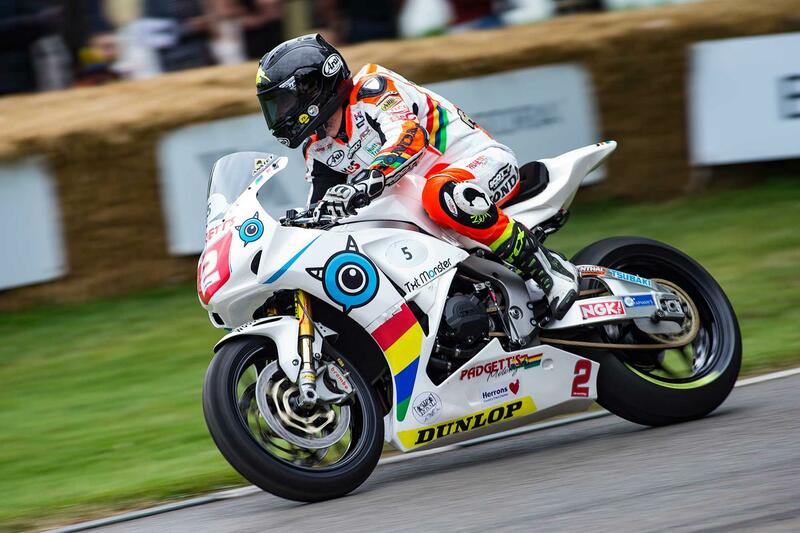 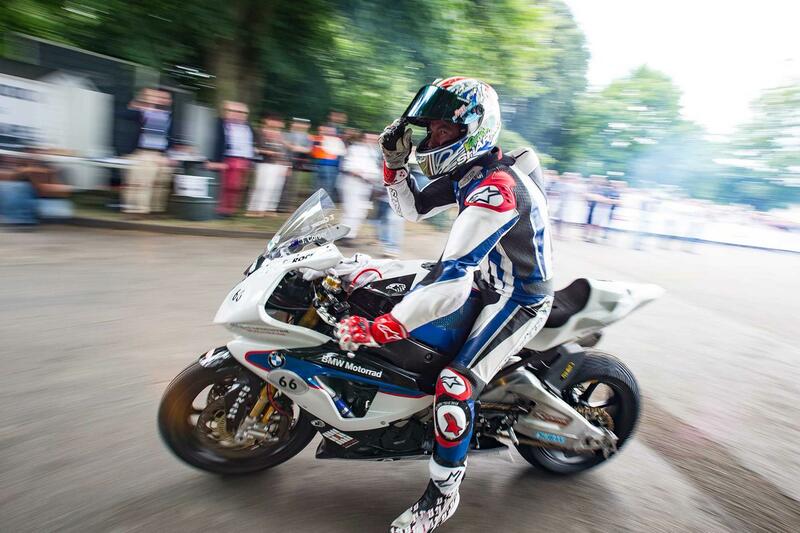 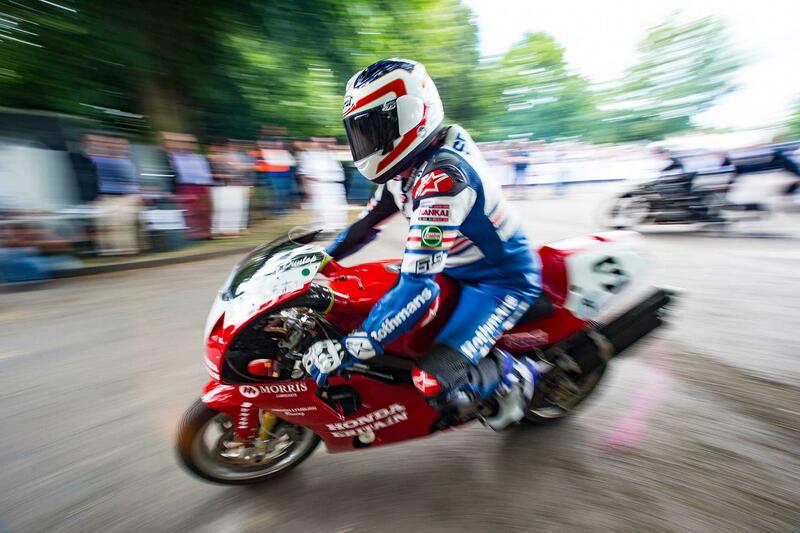 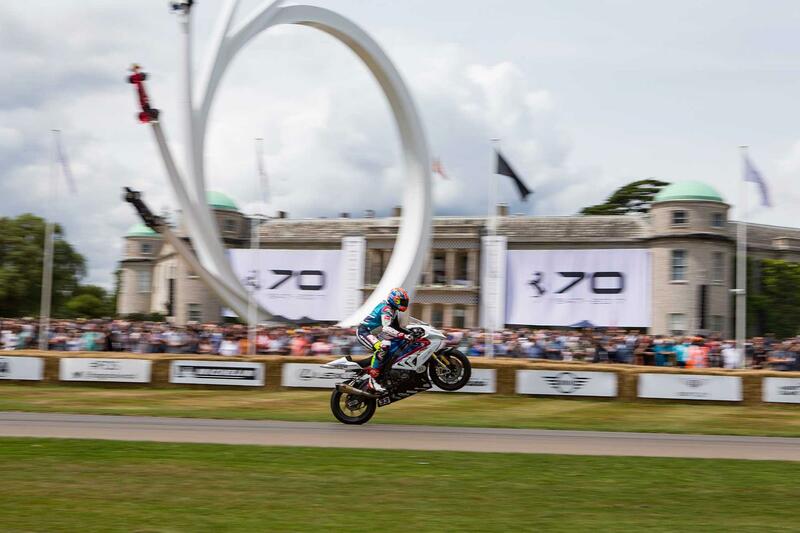 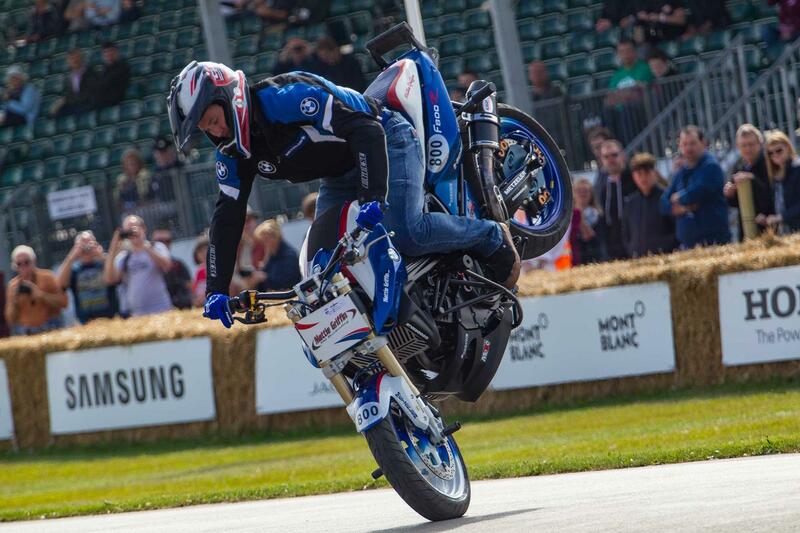 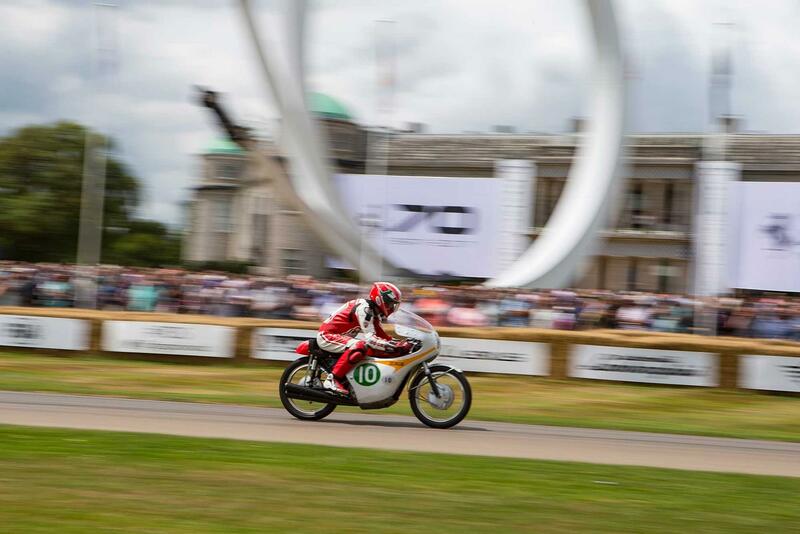 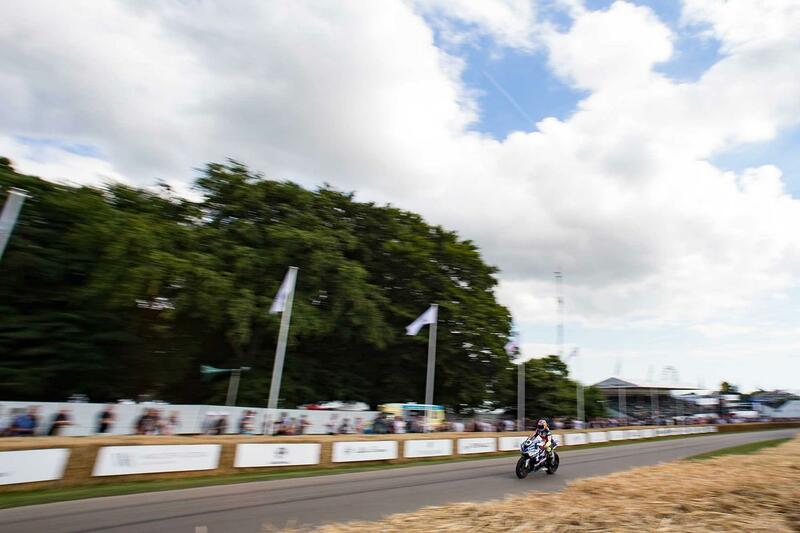 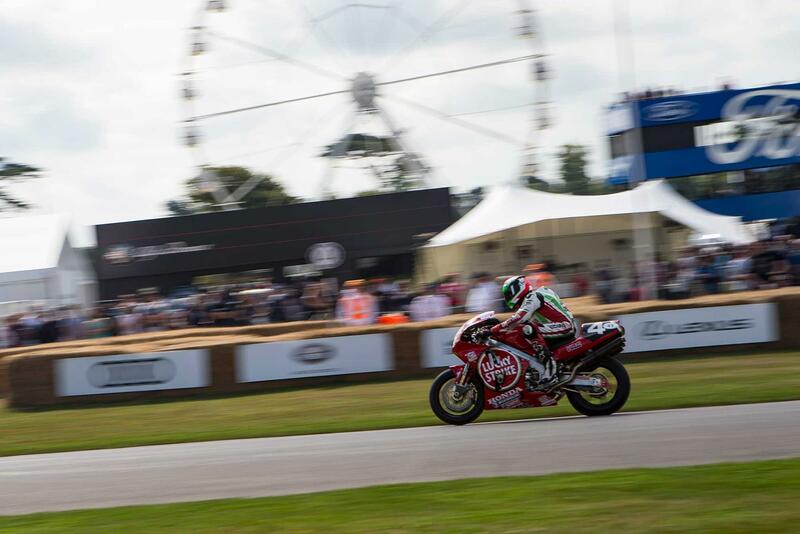 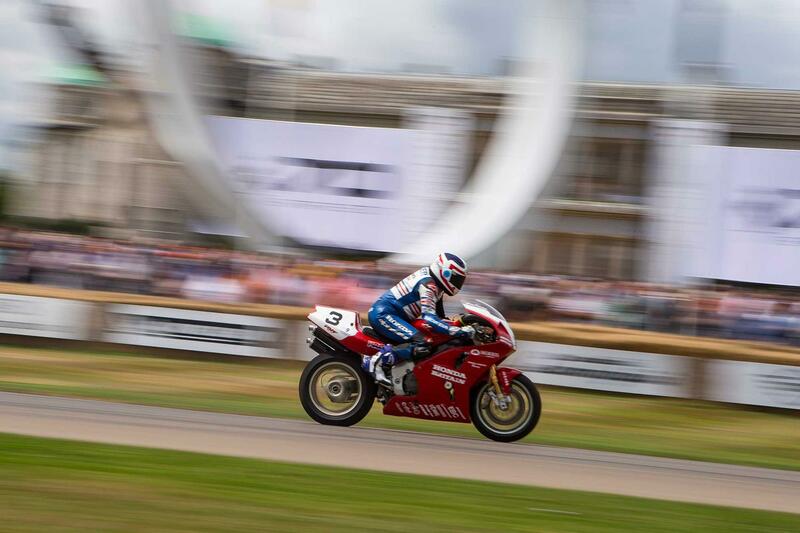 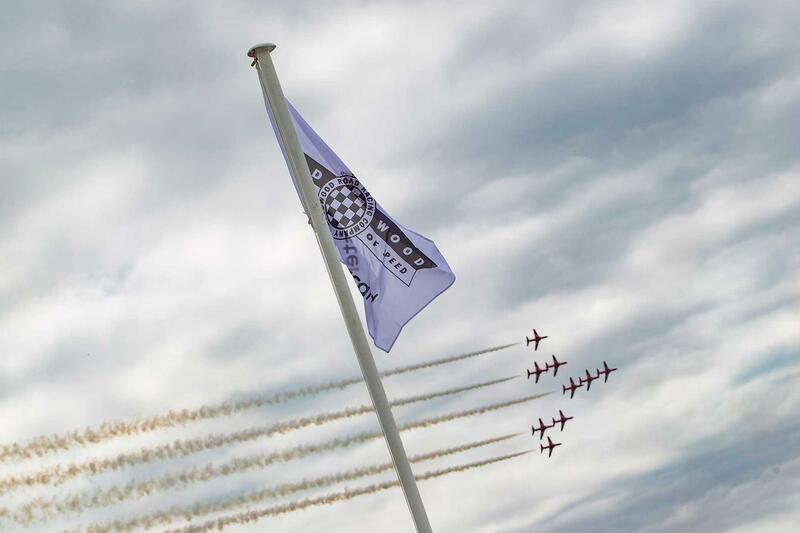 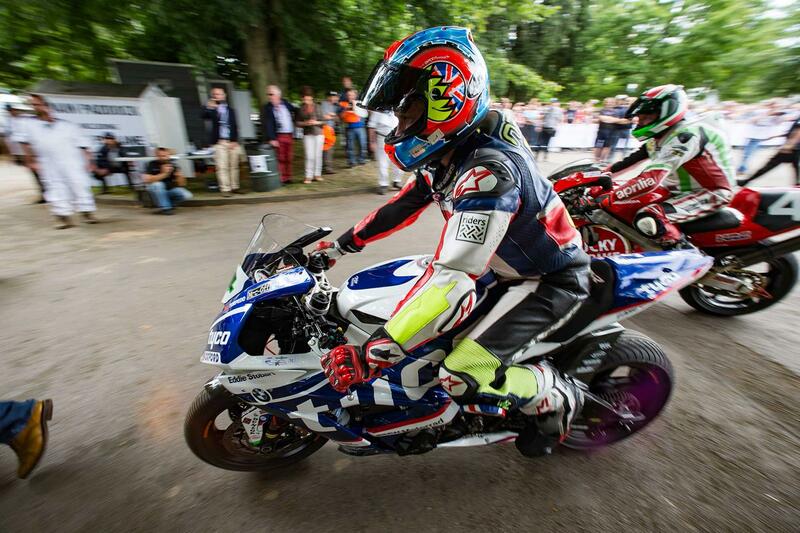 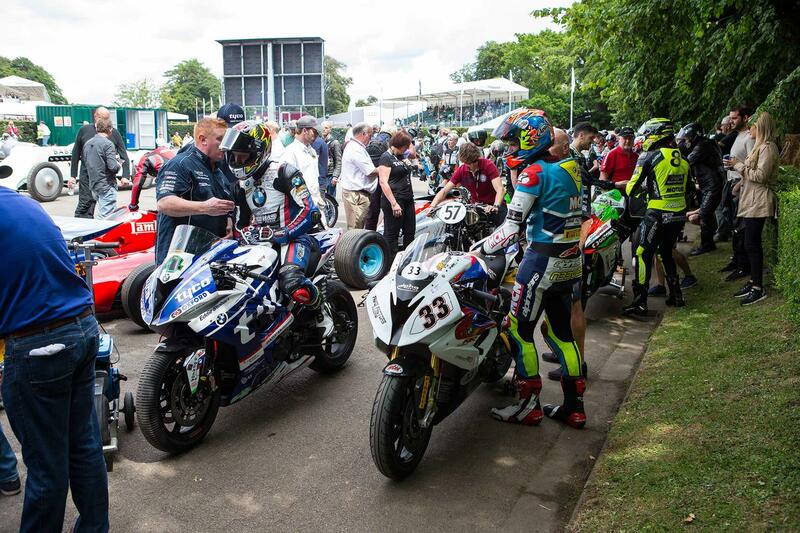 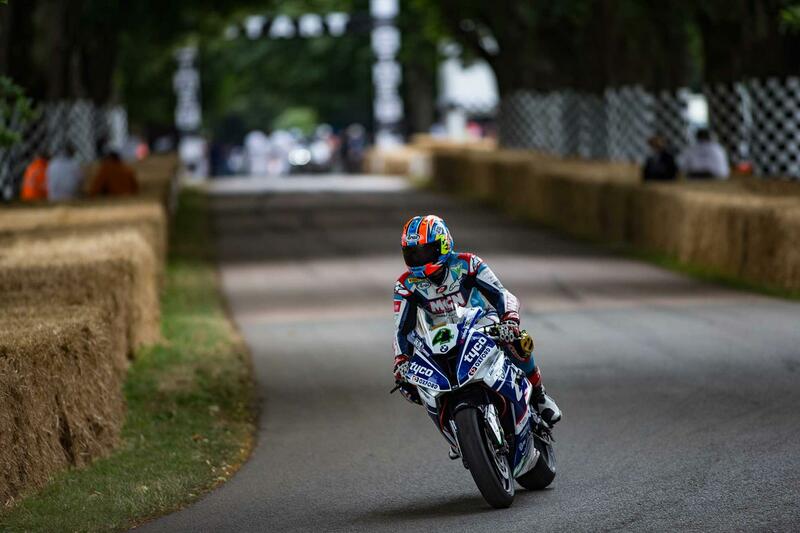 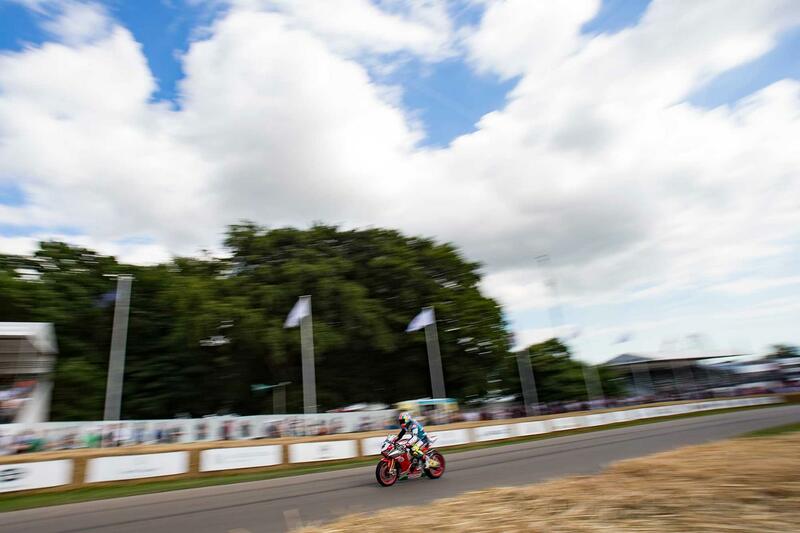 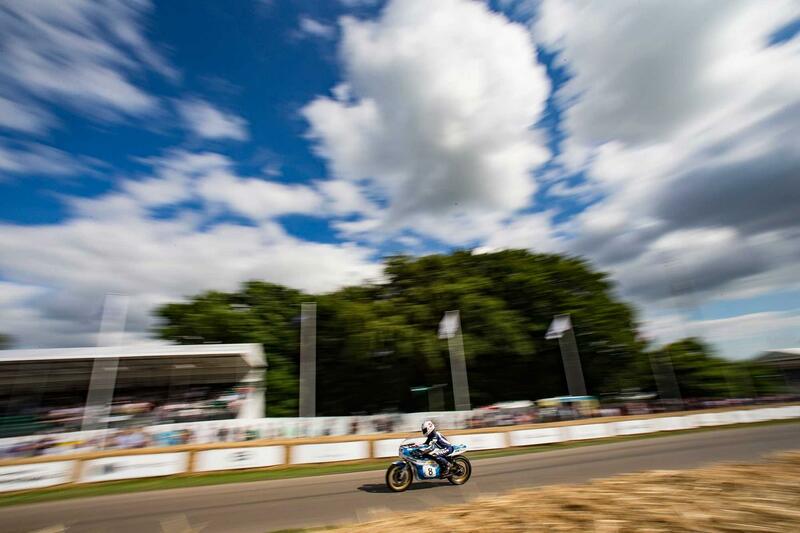 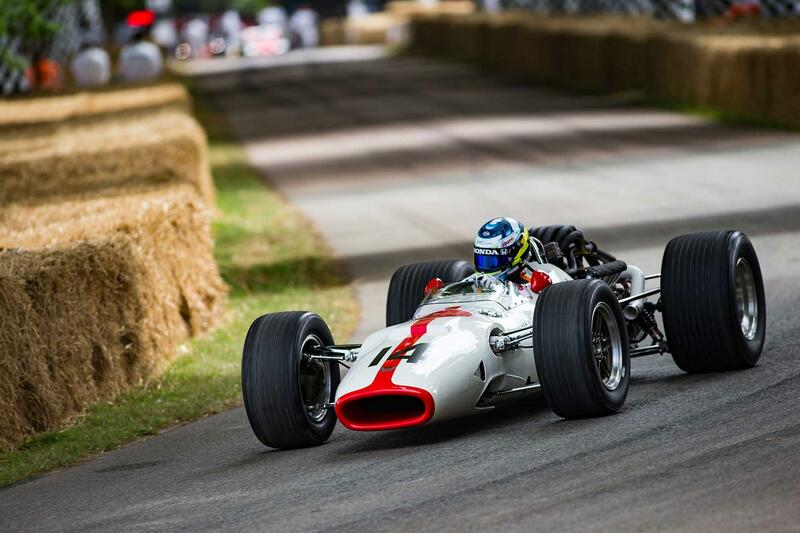 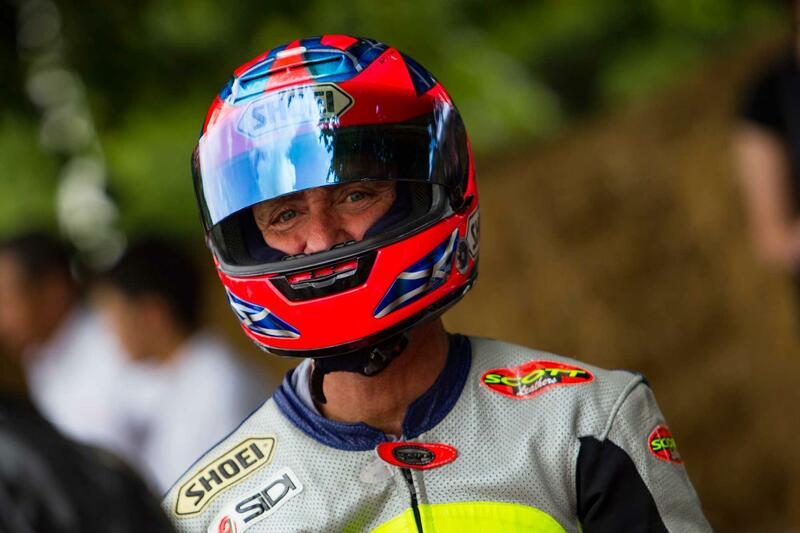 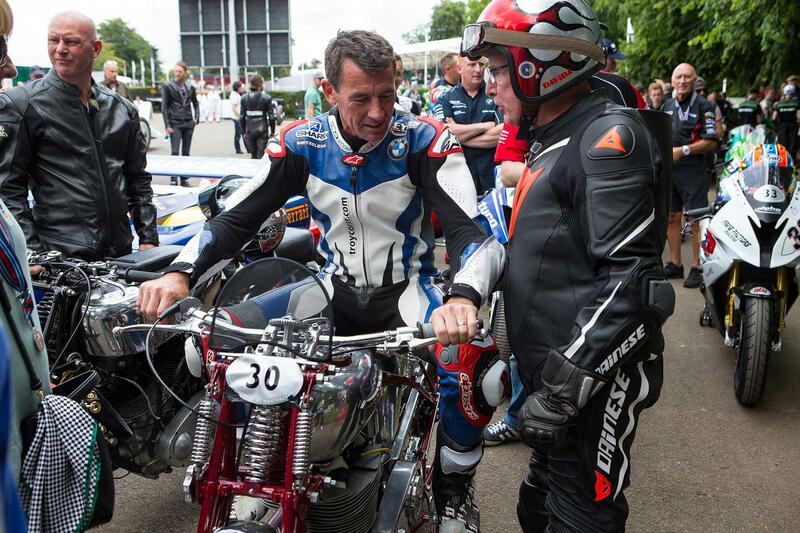 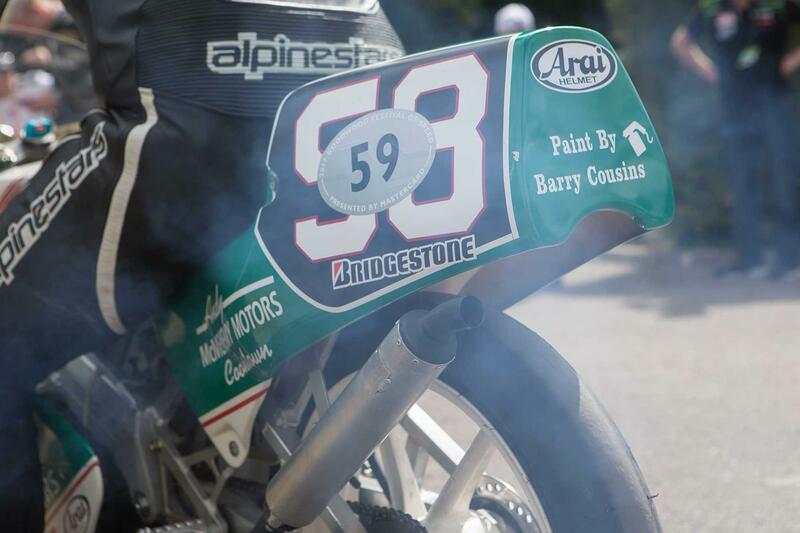 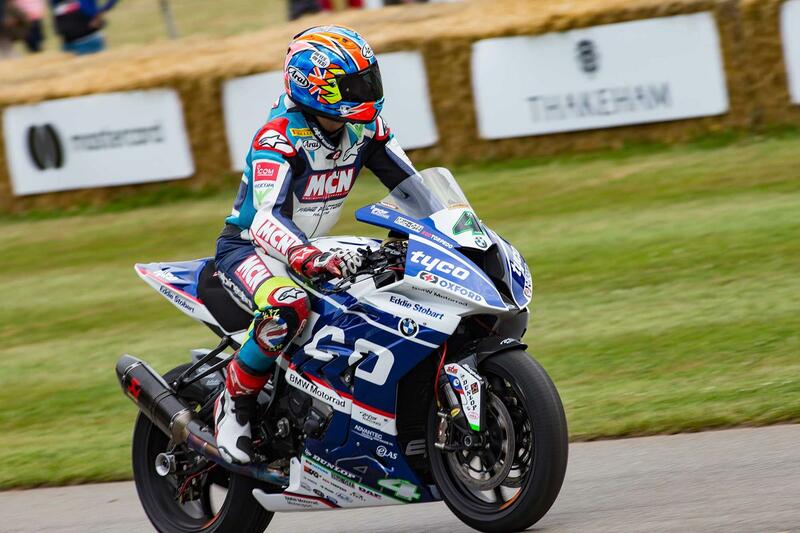 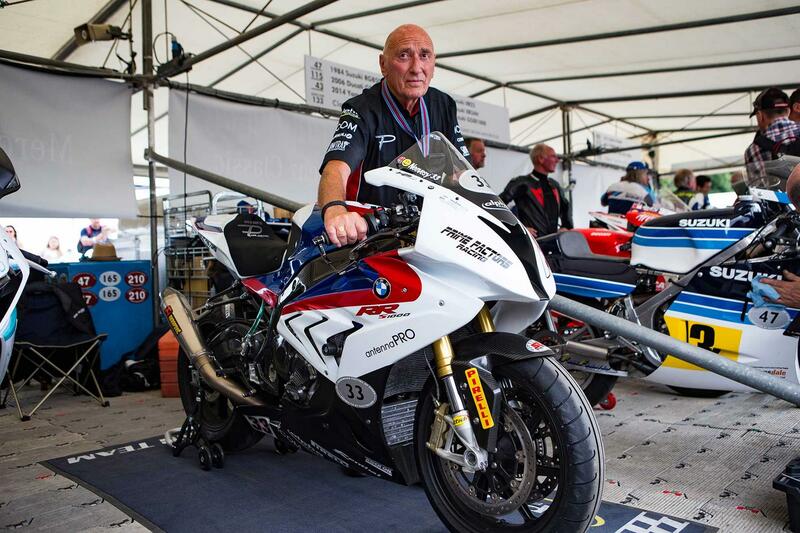 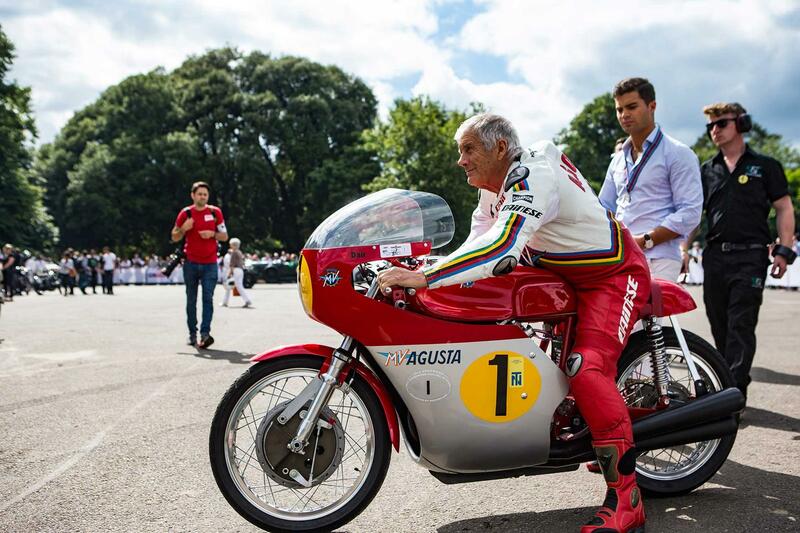 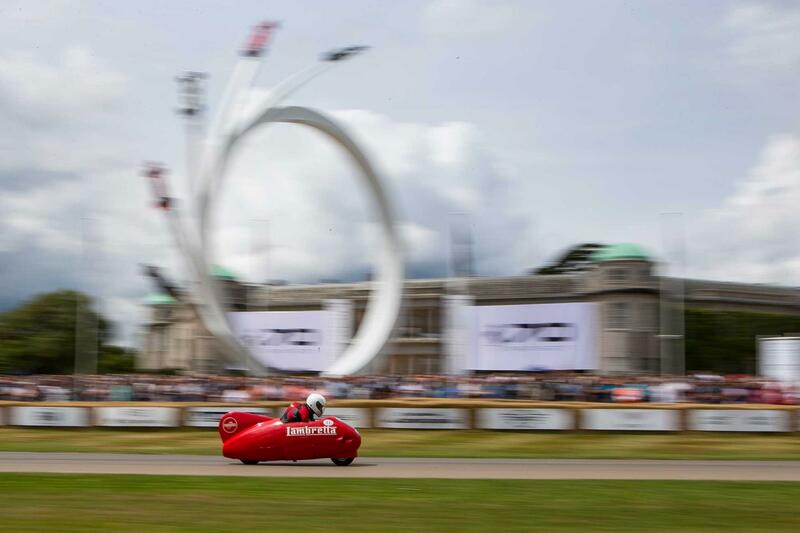 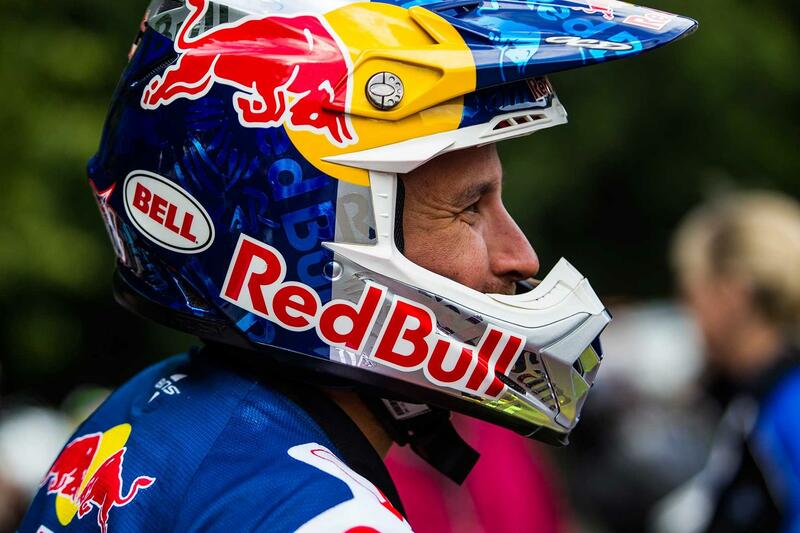 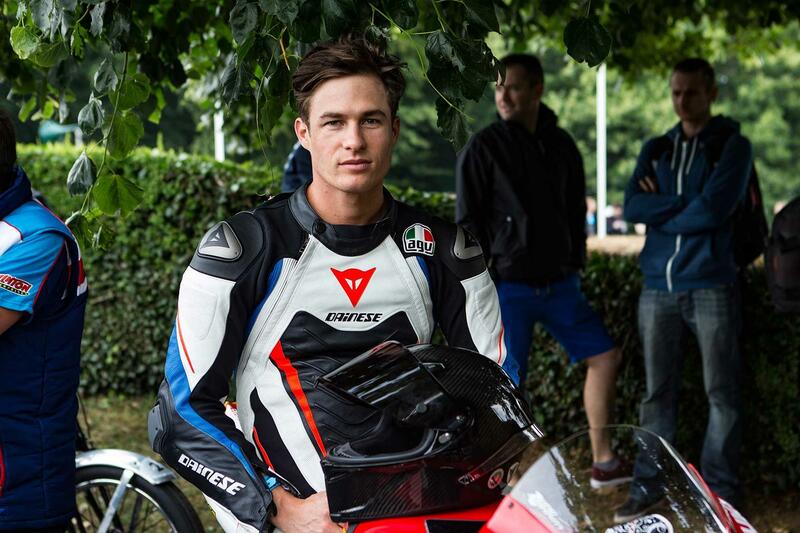 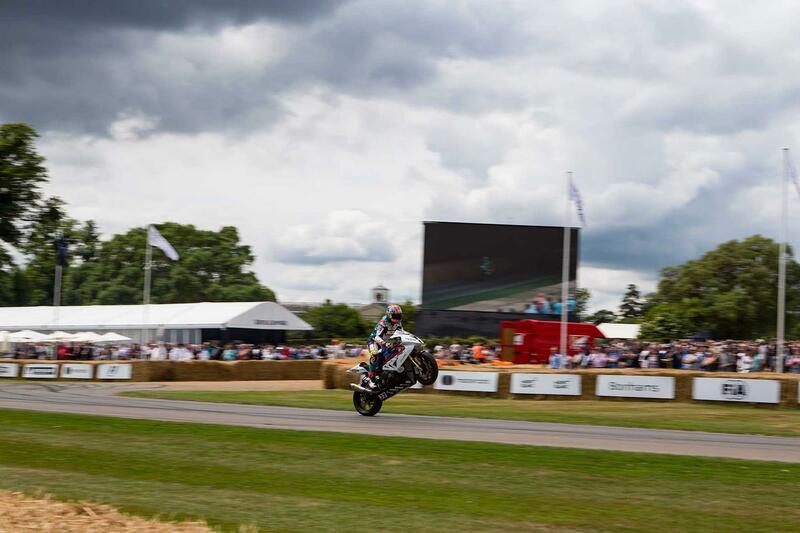 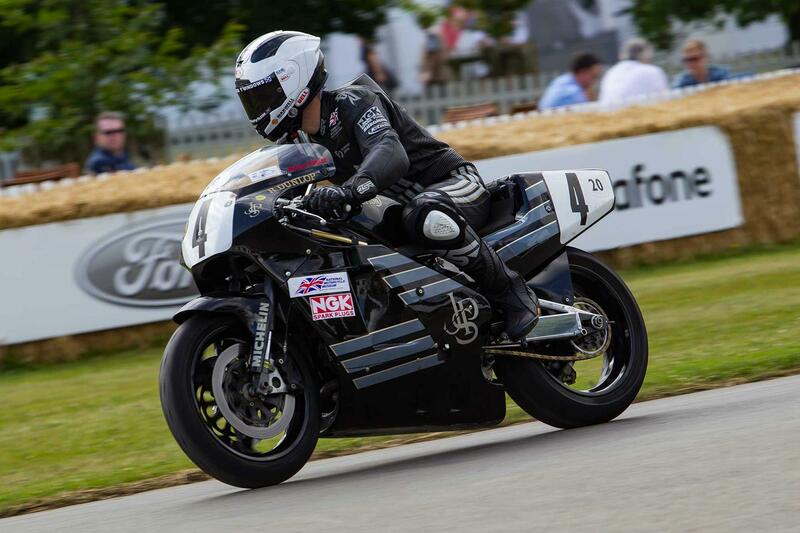 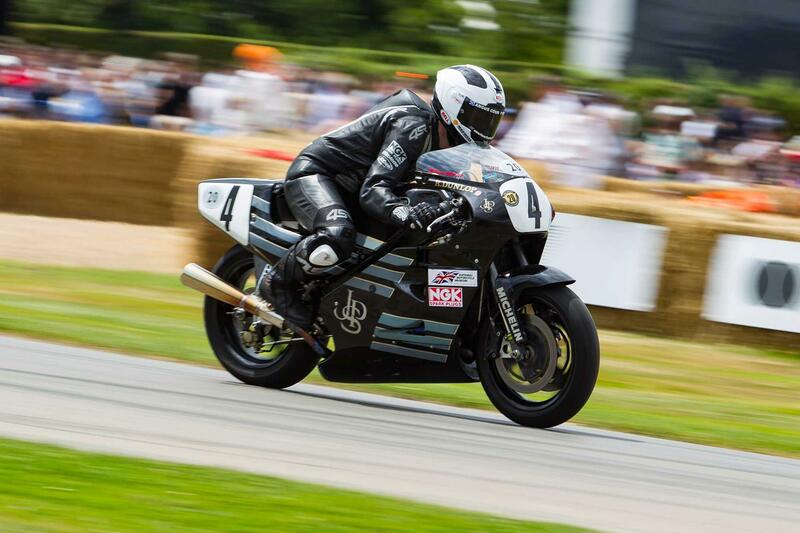 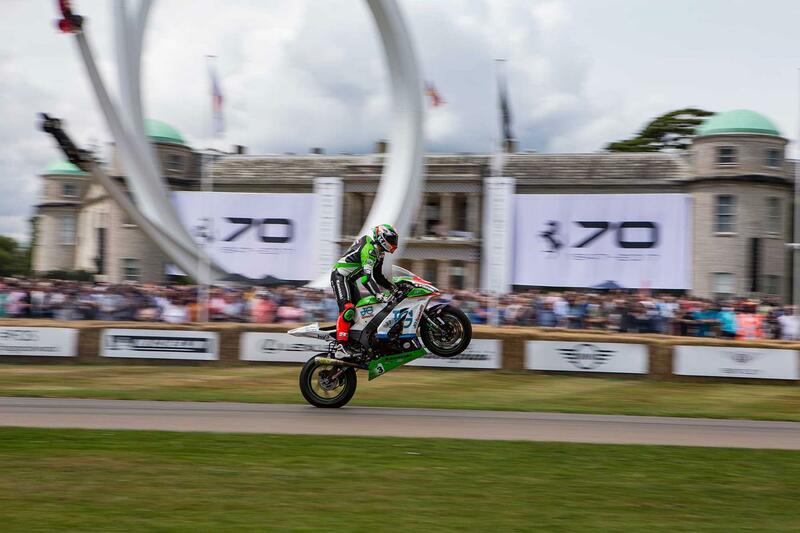 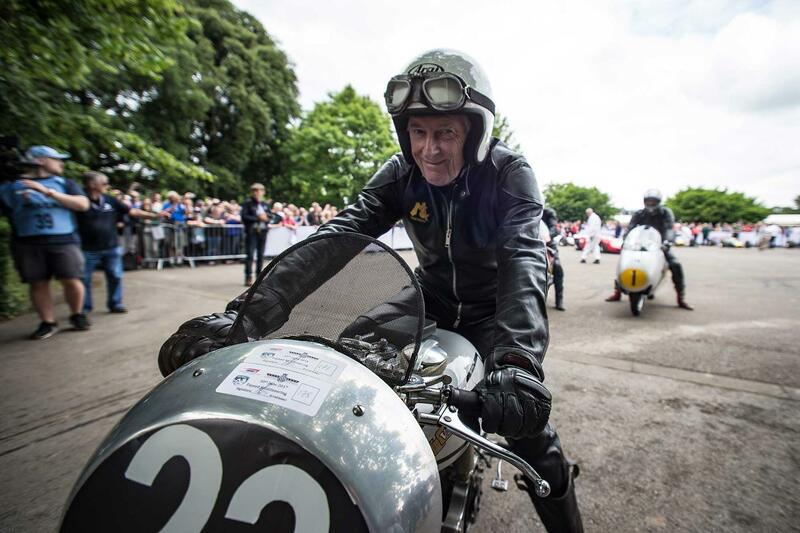 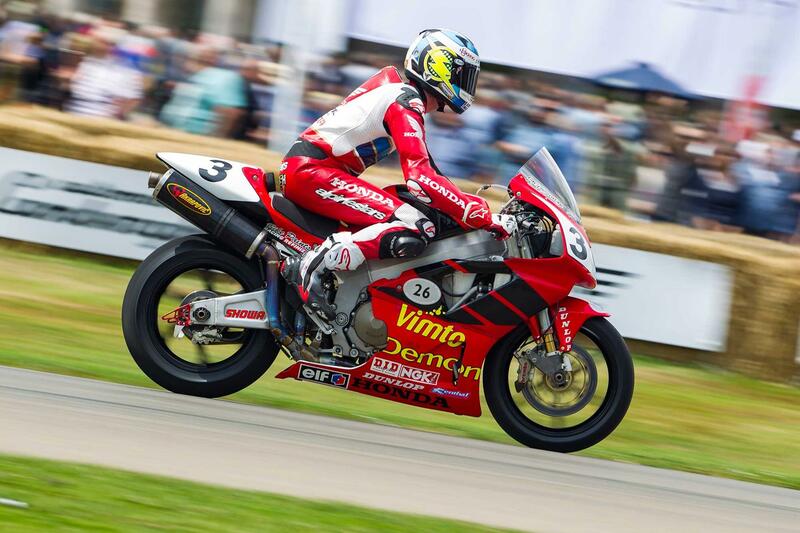 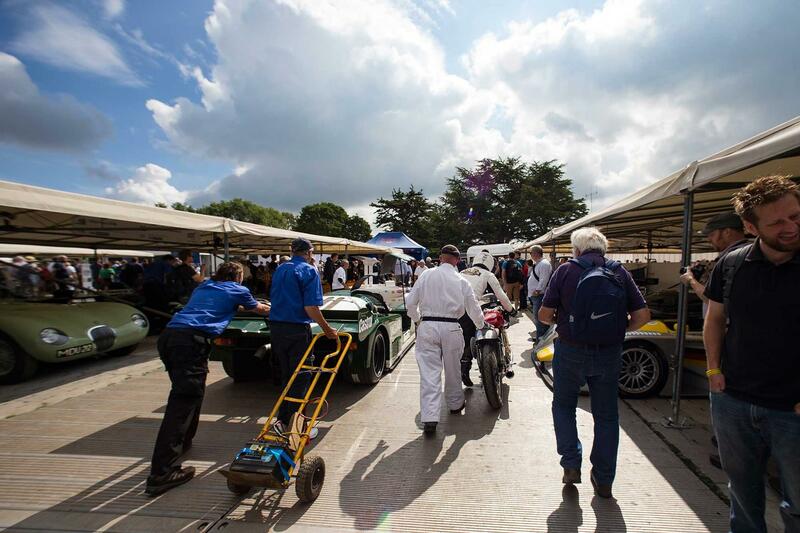 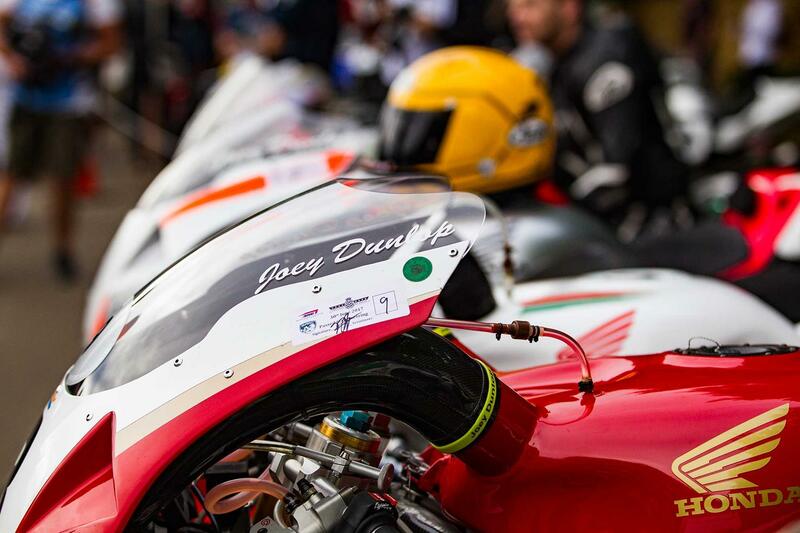 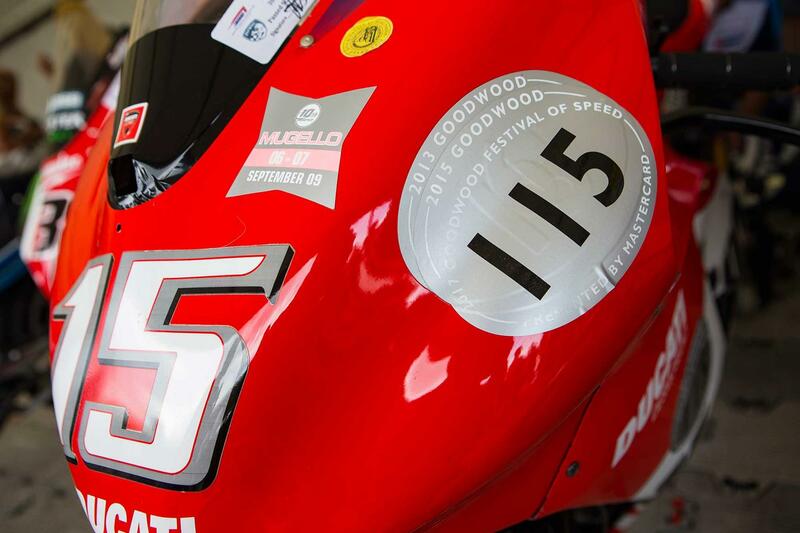 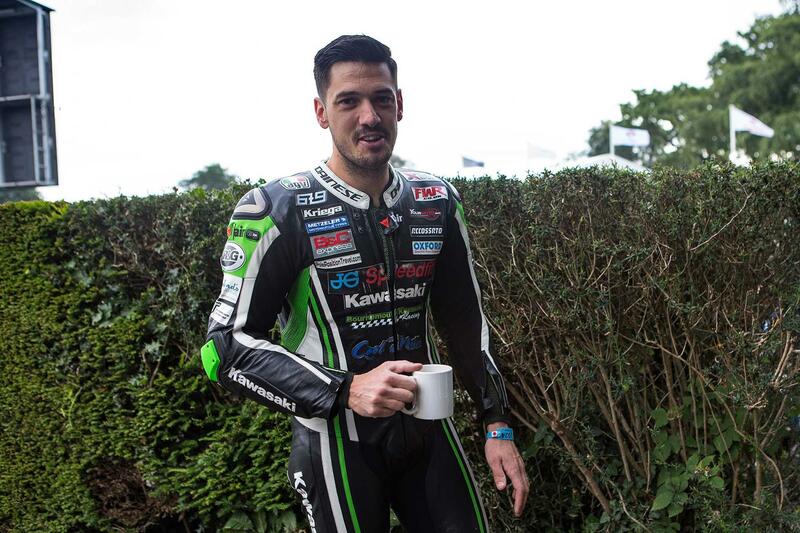 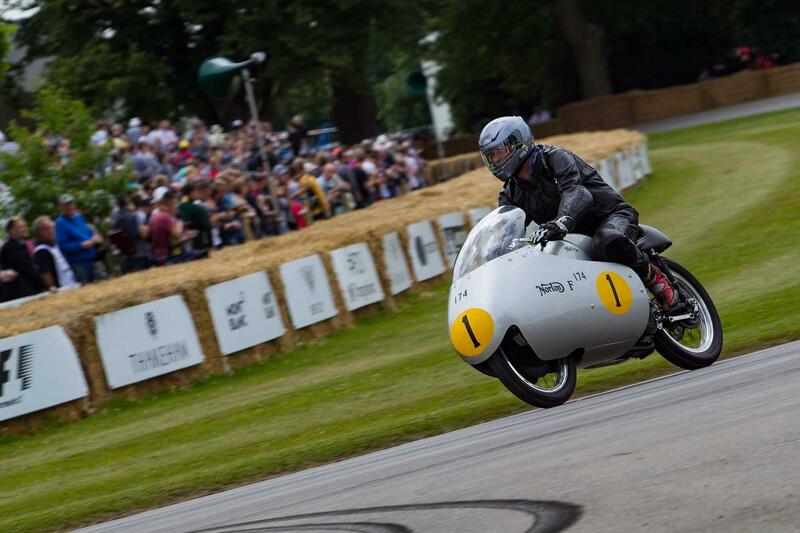 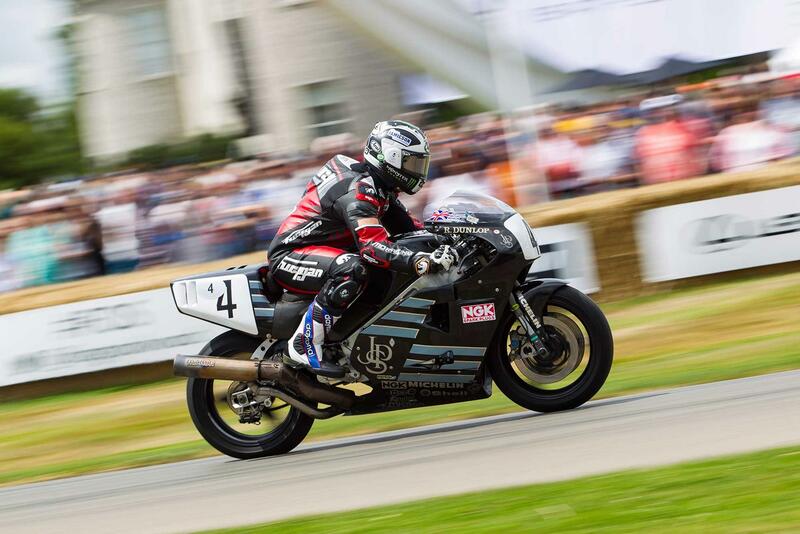 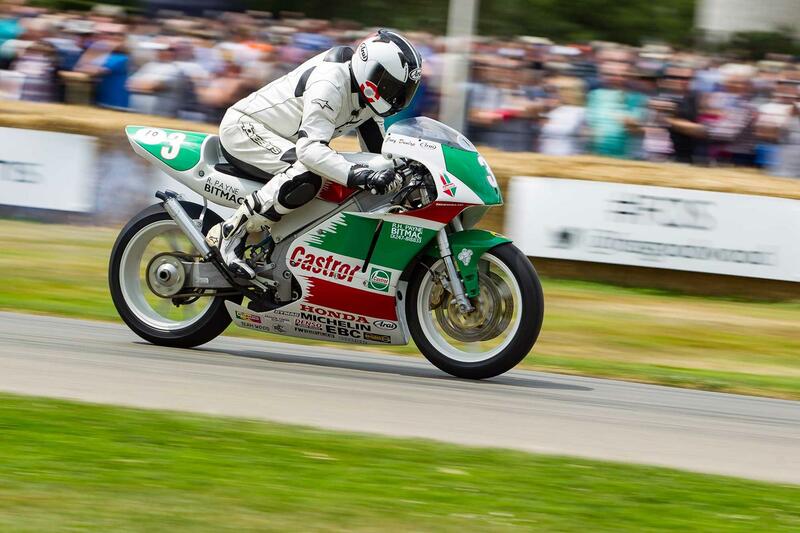 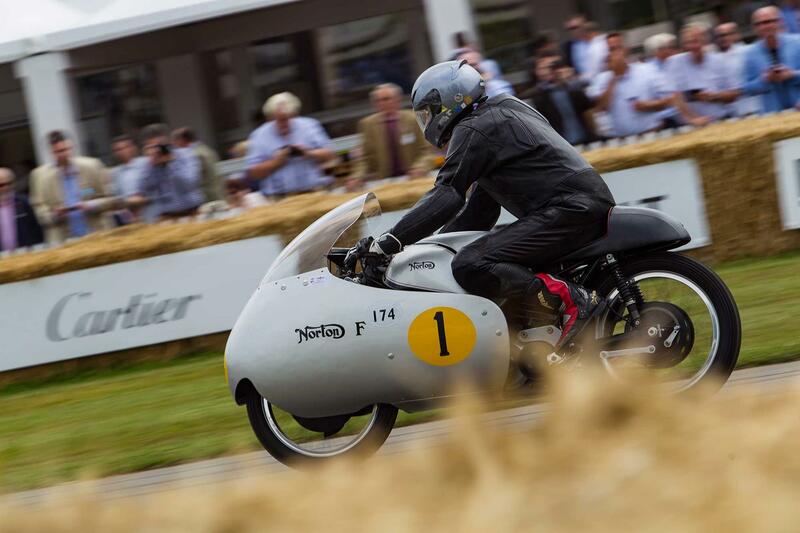 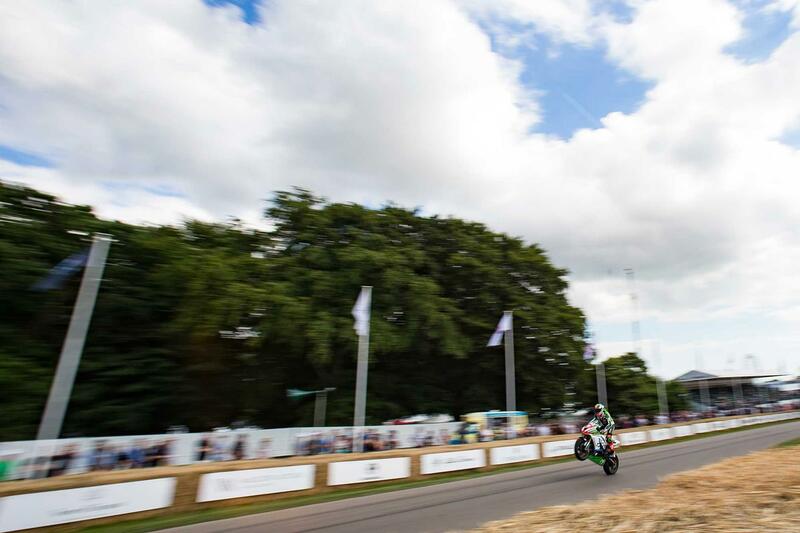 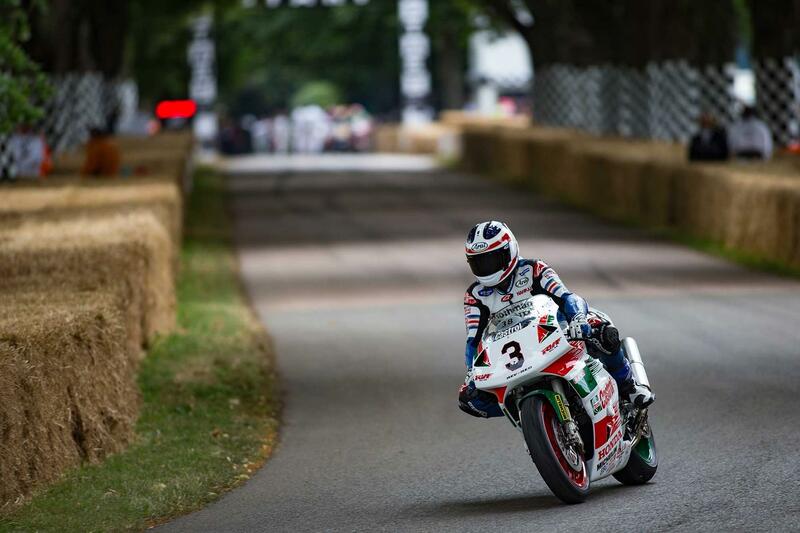 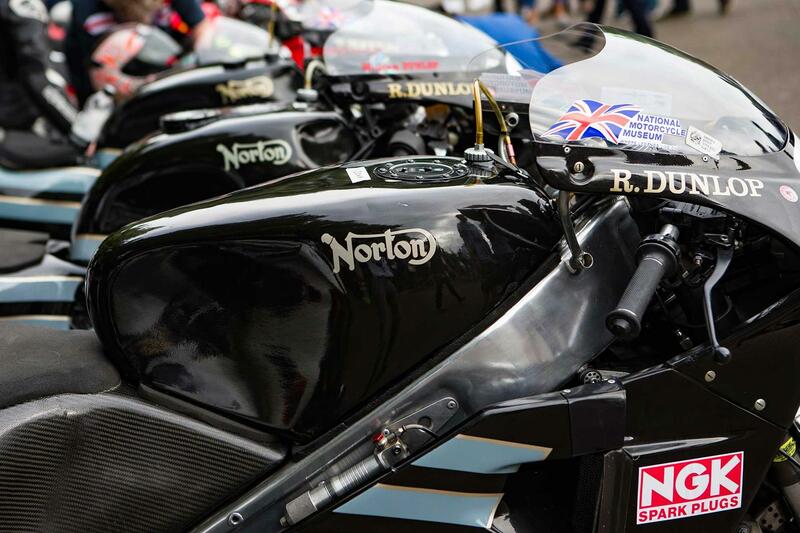 Road racing’s most revered family was celebrated in style over the weekend as the Goodwood Festival of Speed paid tribute to the Dunlops. 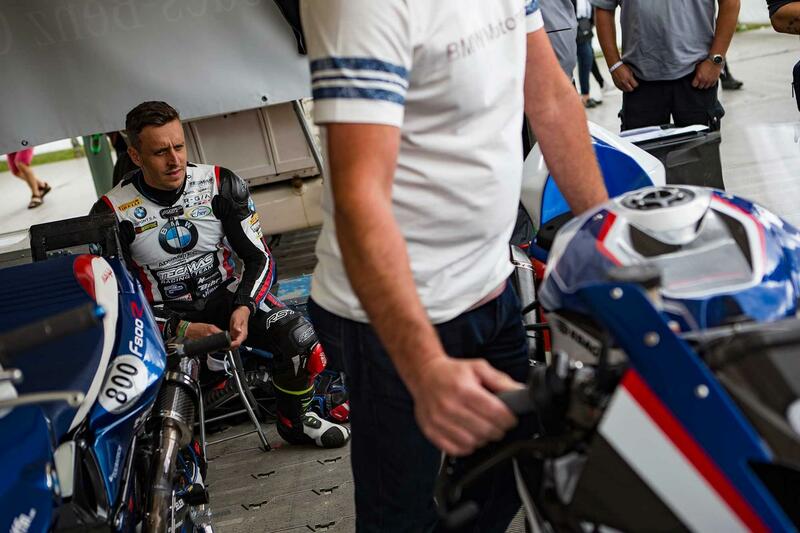 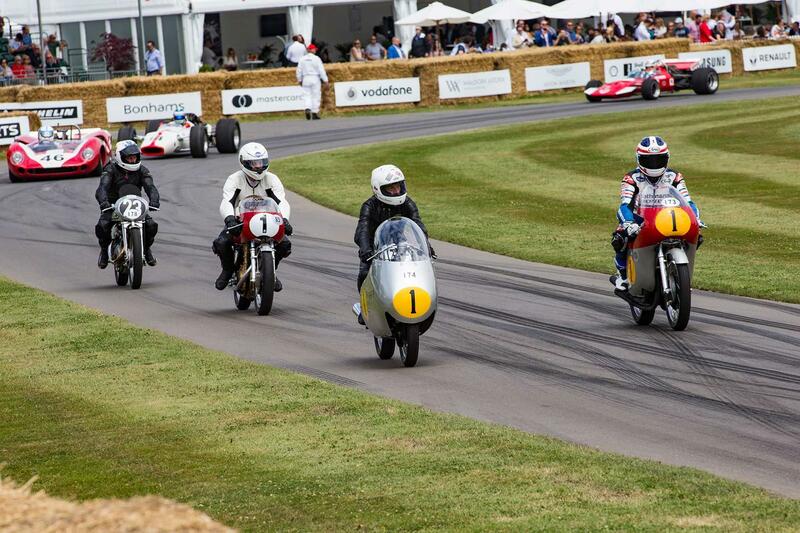 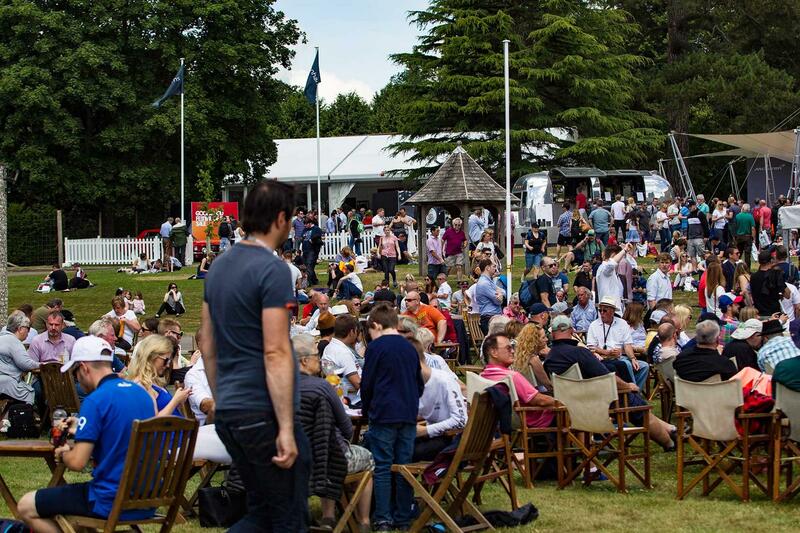 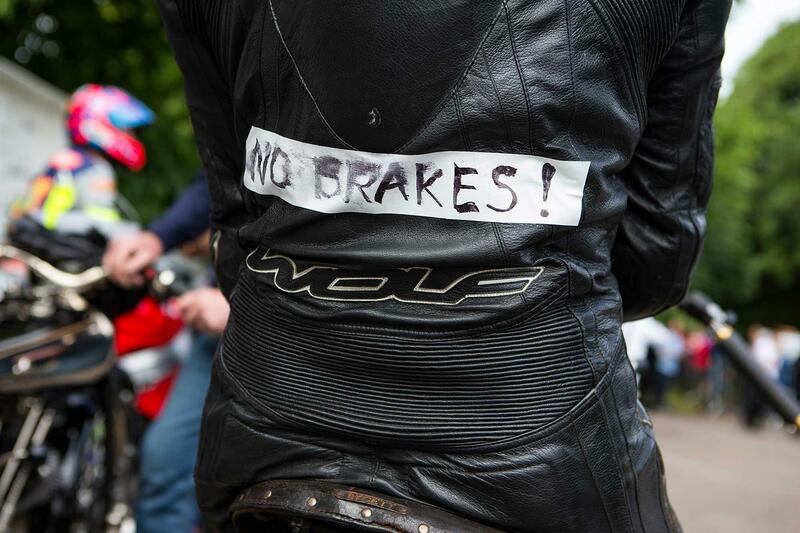 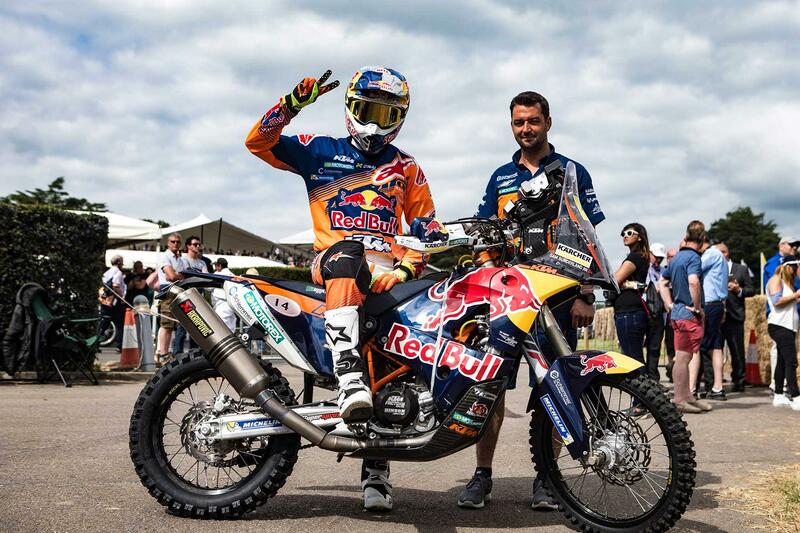 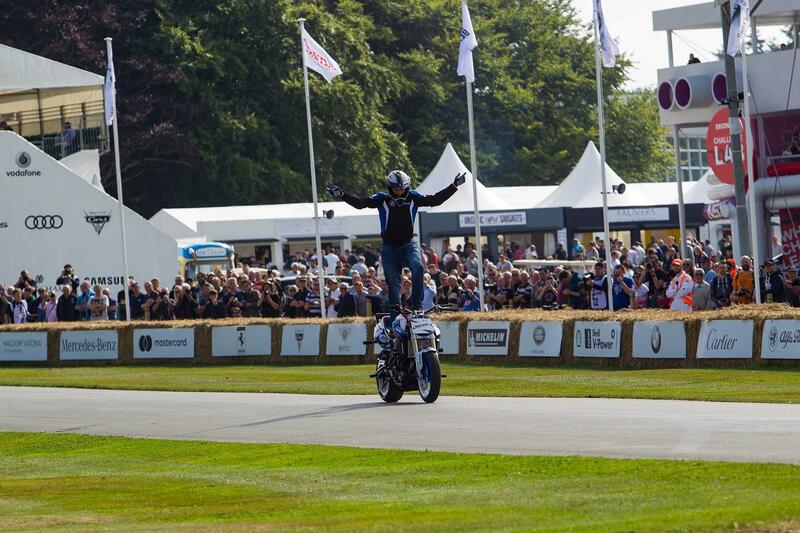 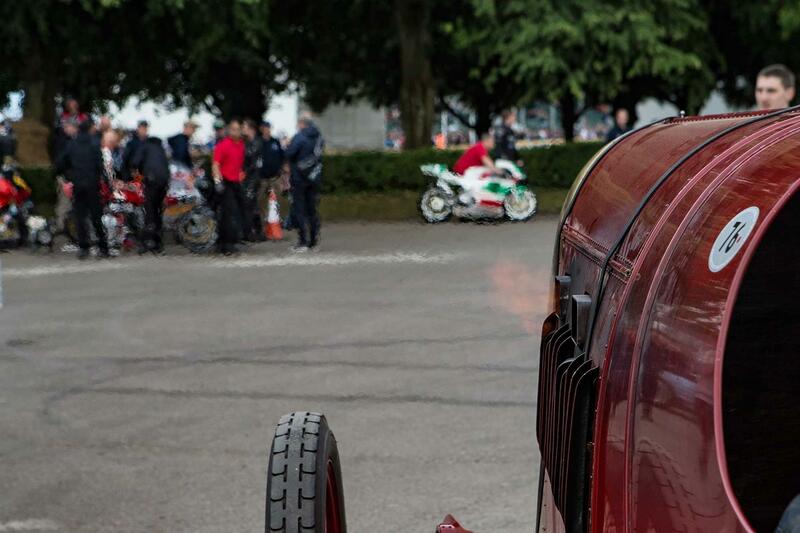 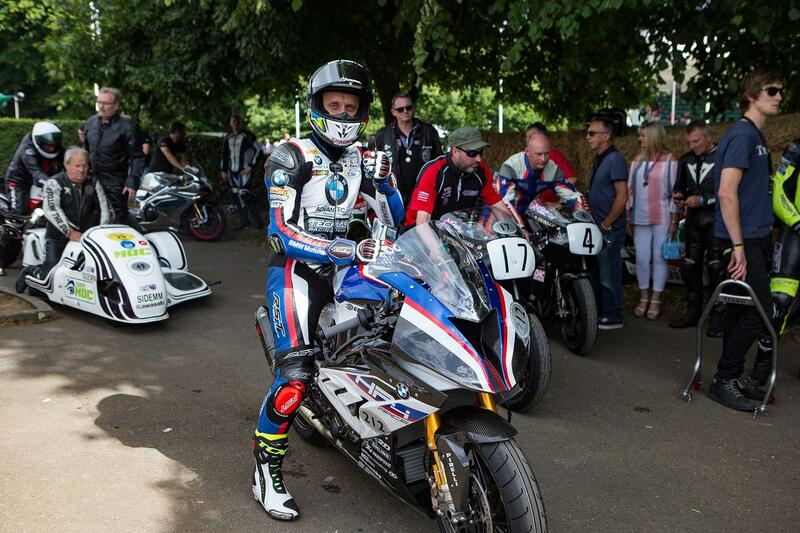 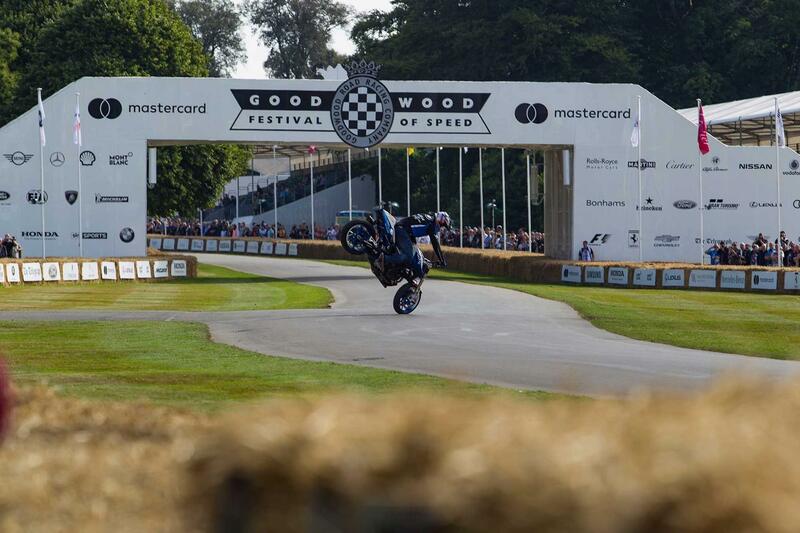 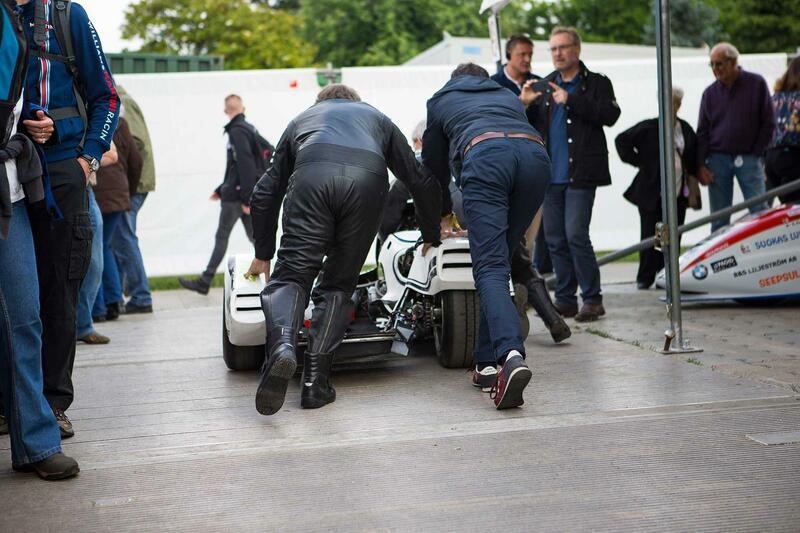 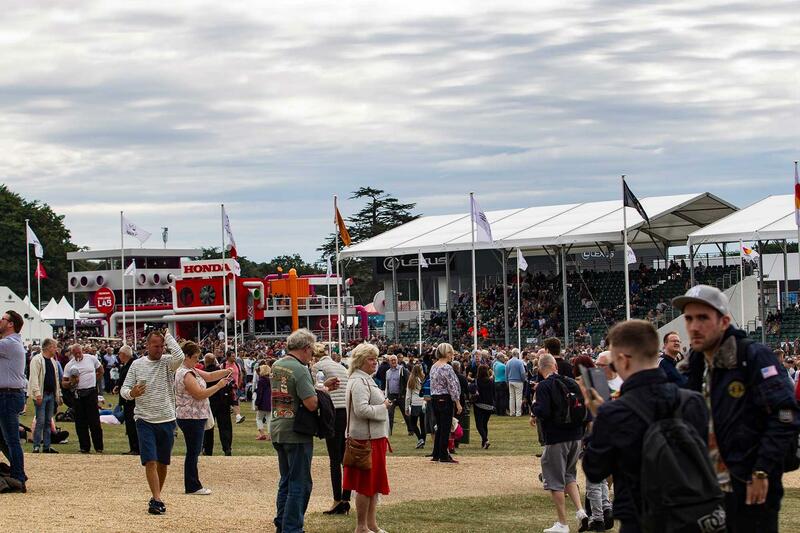 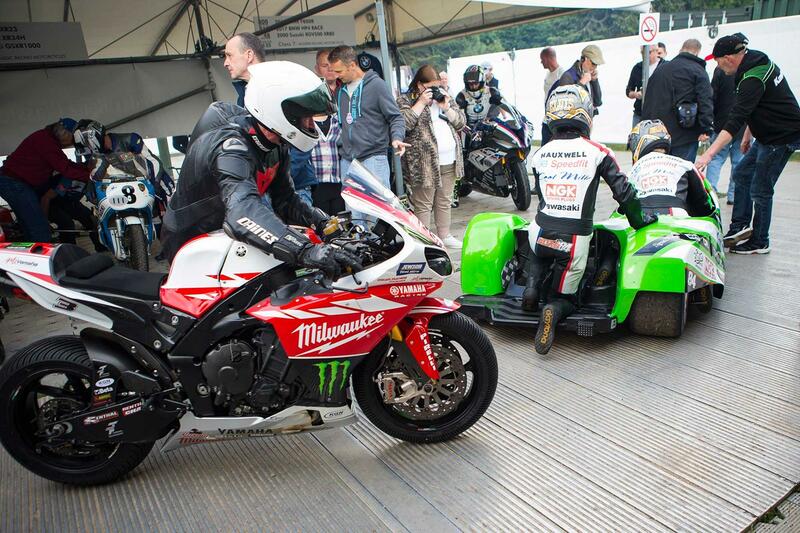 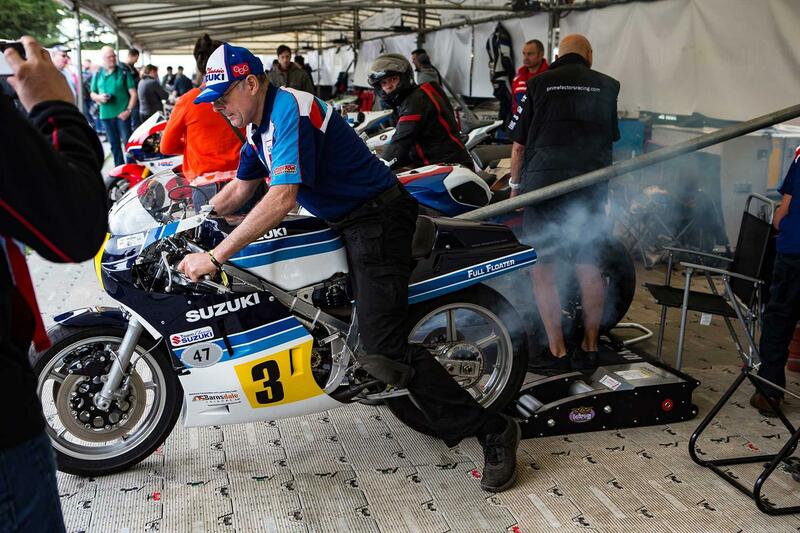 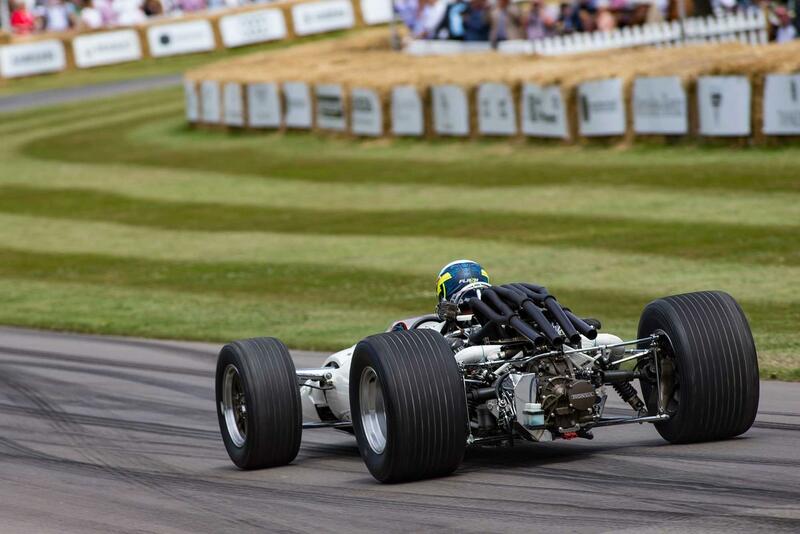 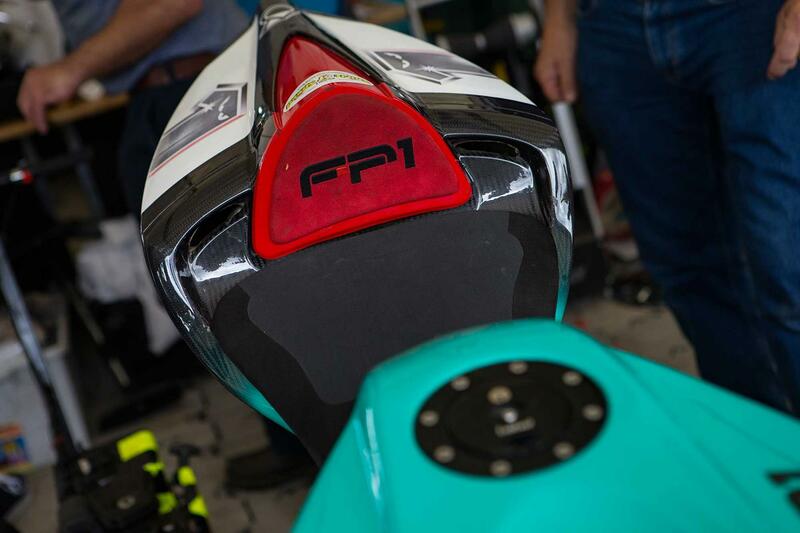 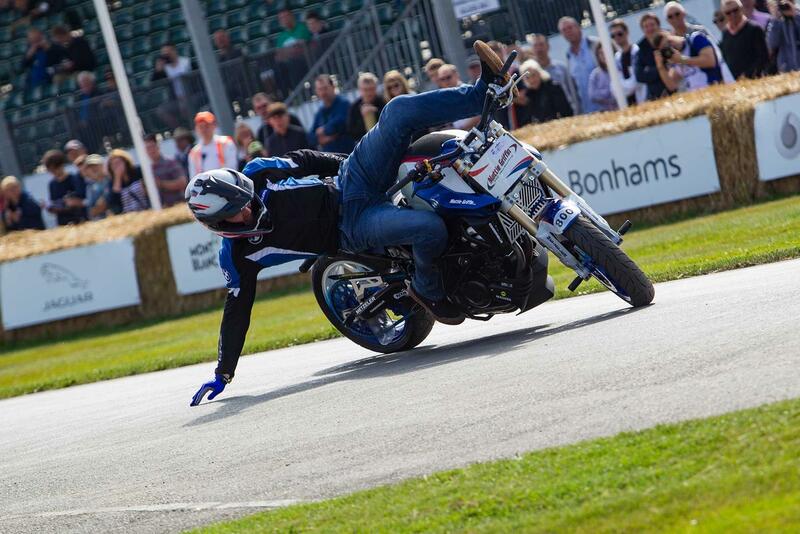 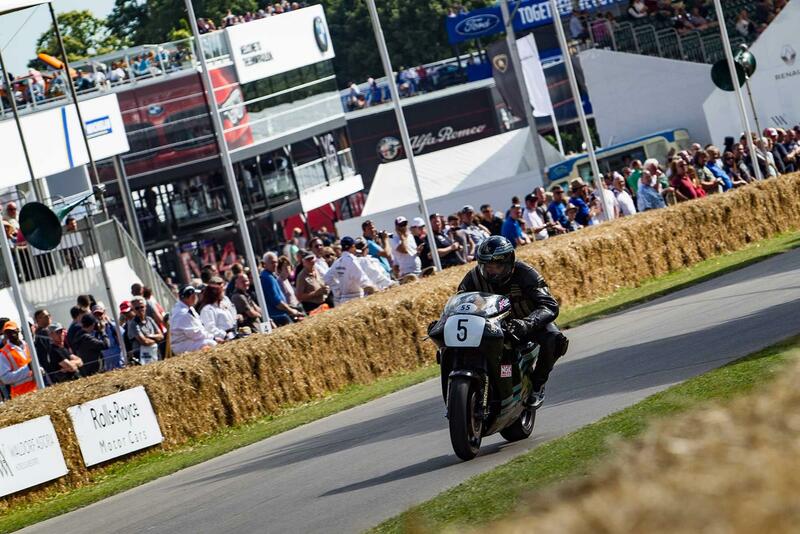 Check out our Goodwood Facebook gallery here. 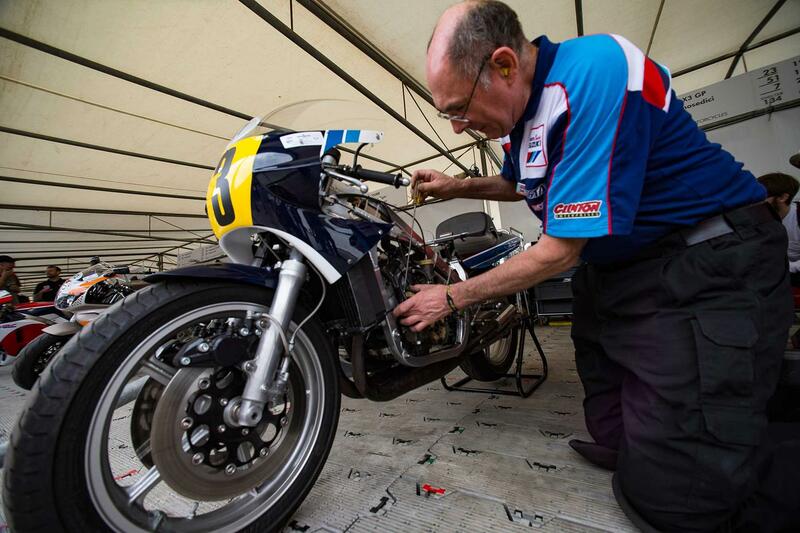 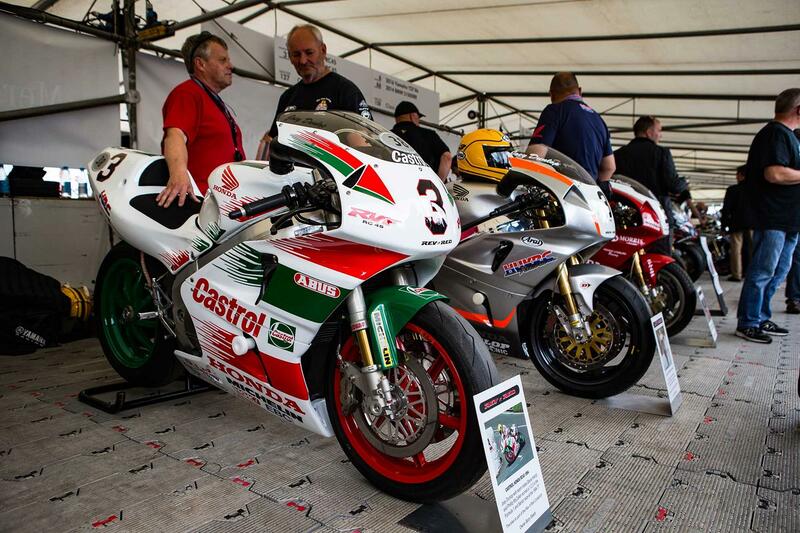 A brace of machines raced by Joey, Robert, William and Michael were brought to the petrol head’s paradise from collections all over the world, including the Vimto Honda SP1 that Joey took to his final TT victory and Robert’s triple North West winning JPS Norton. 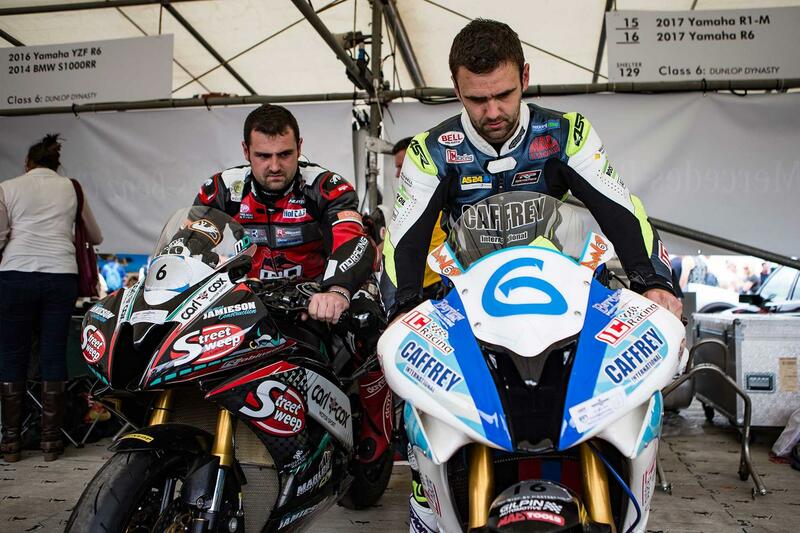 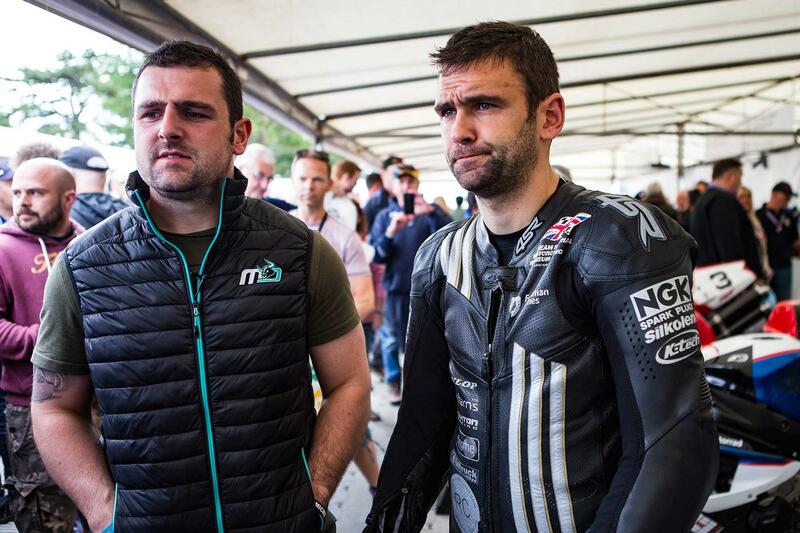 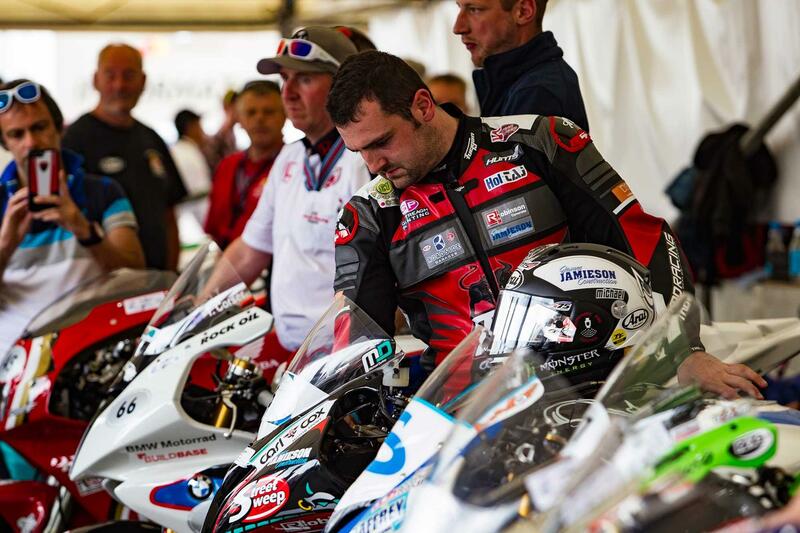 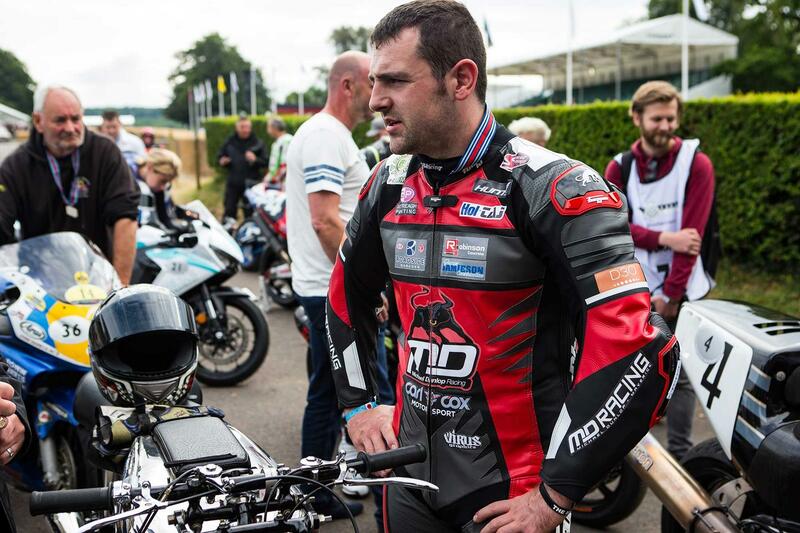 Michael and William Dunlop also came along to ride their current supersport Yamaha R6s up Goodwood’s famous 1.16-mile hillclimb. 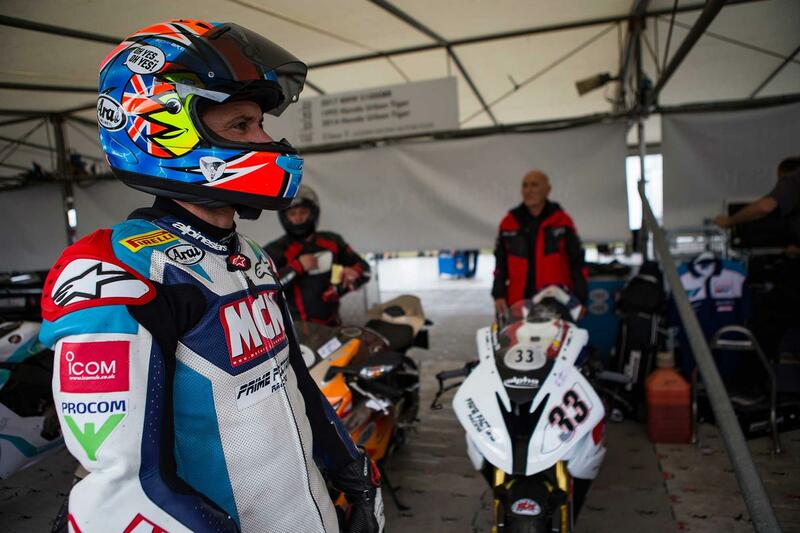 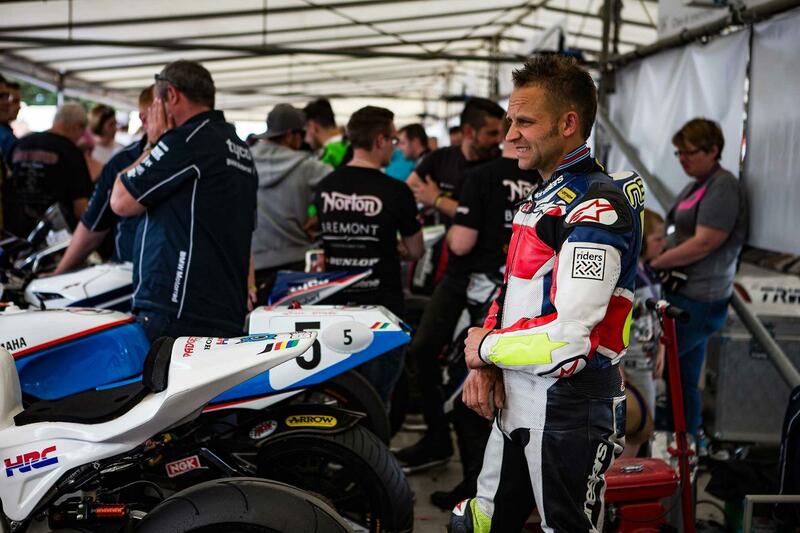 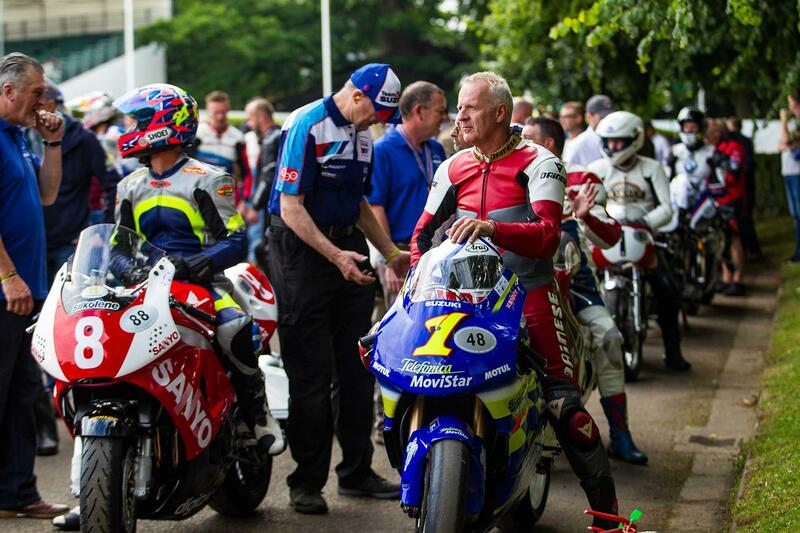 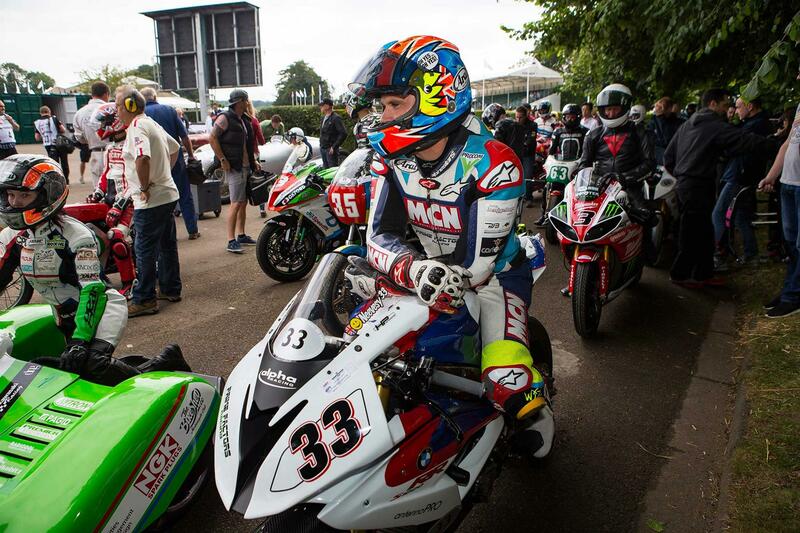 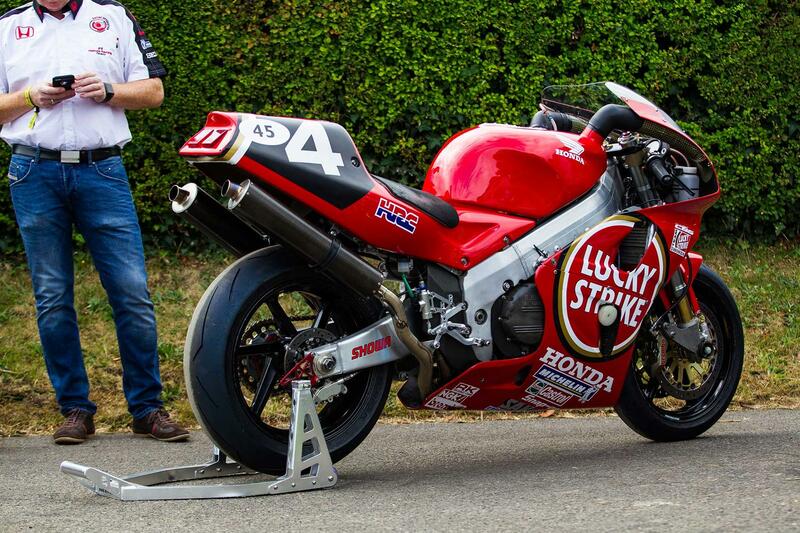 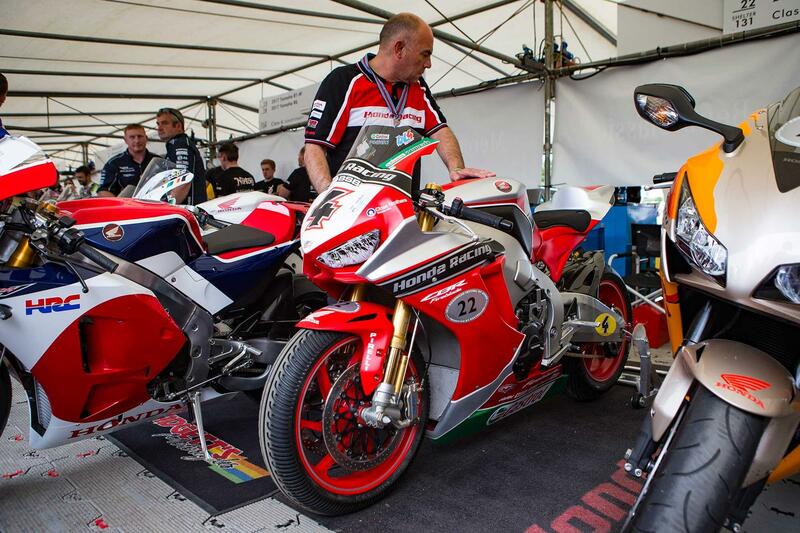 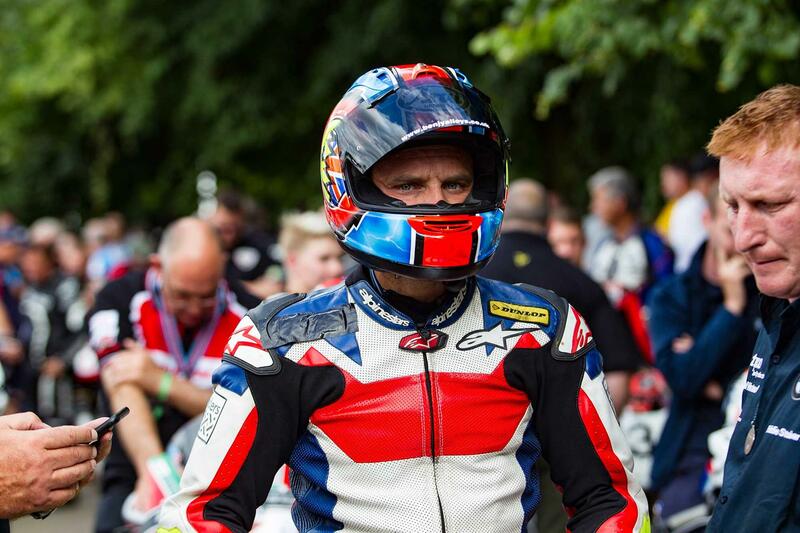 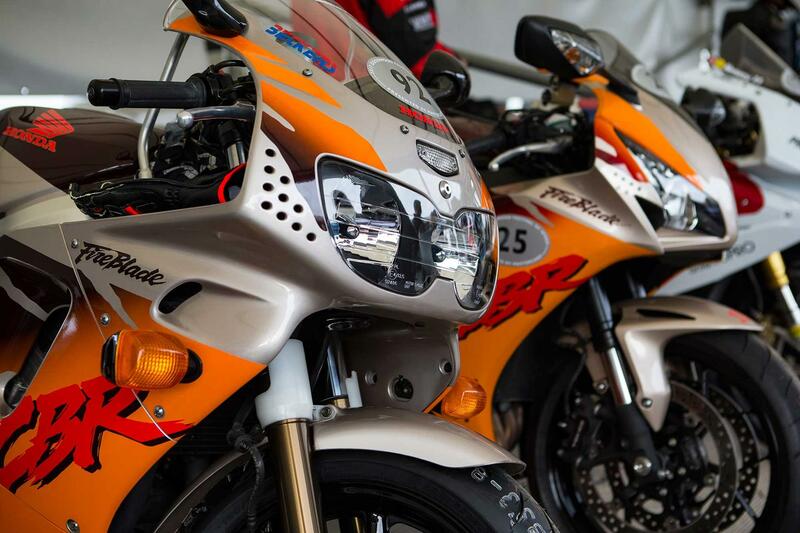 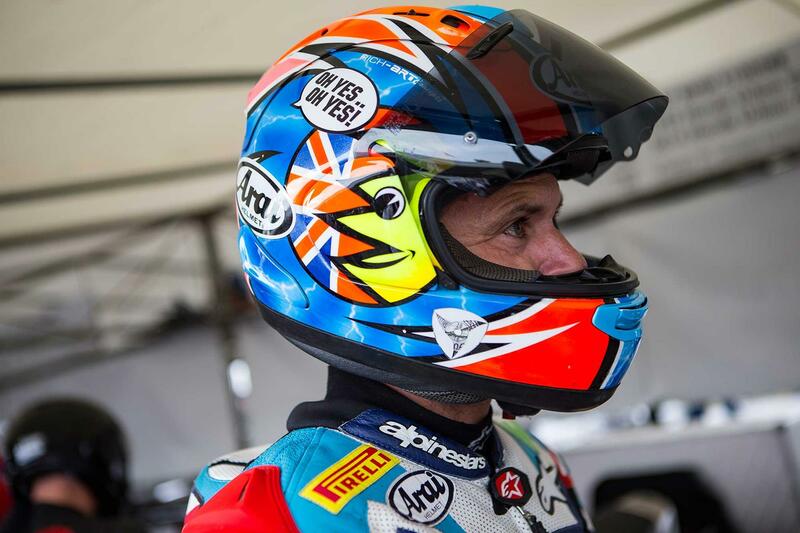 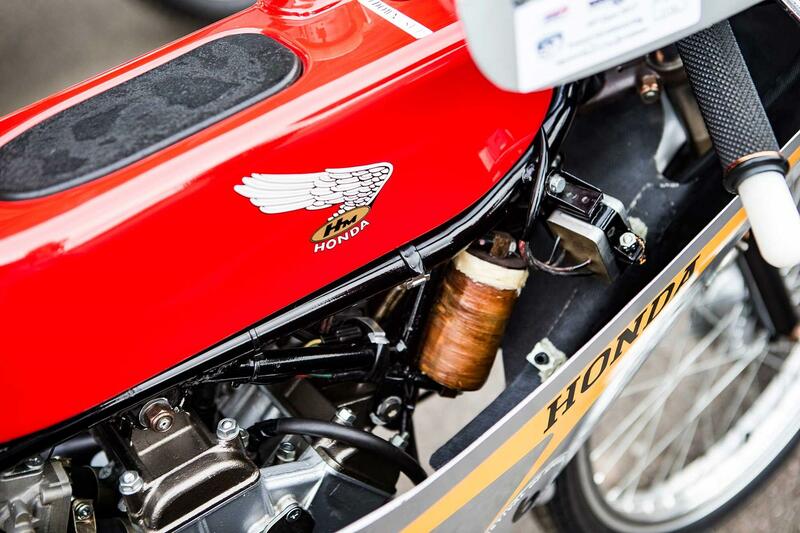 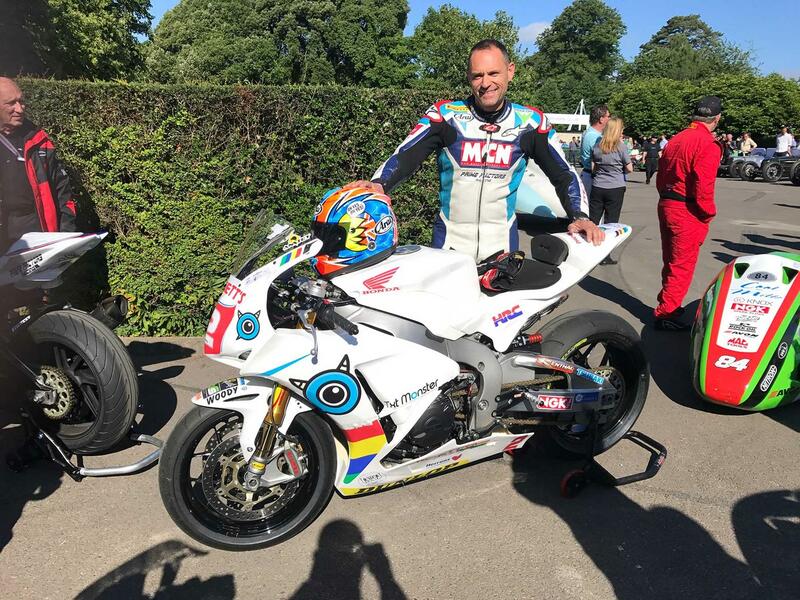 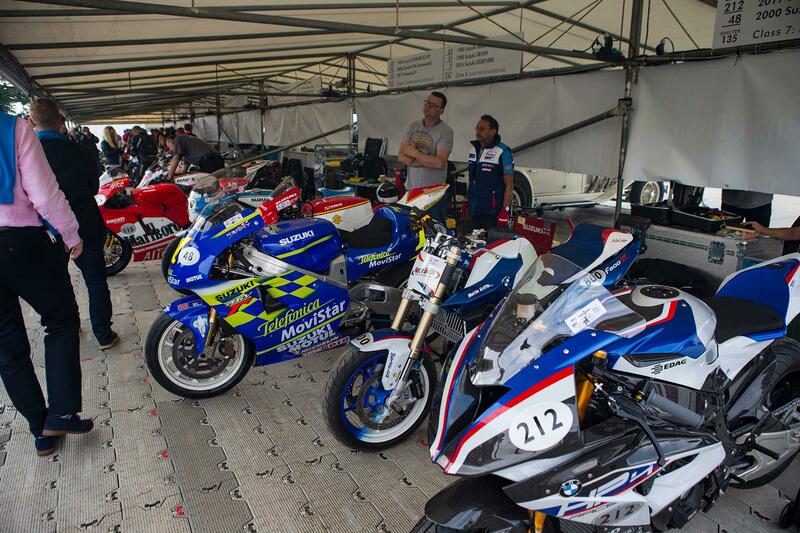 The two-wheeled carnival continued with Honda marking the Fireblade’s 25th birthday with a selection of past and present road bikes, Bruce Anstey’s TT Superstock machine and Jason O’Halloran’s BSB racer. 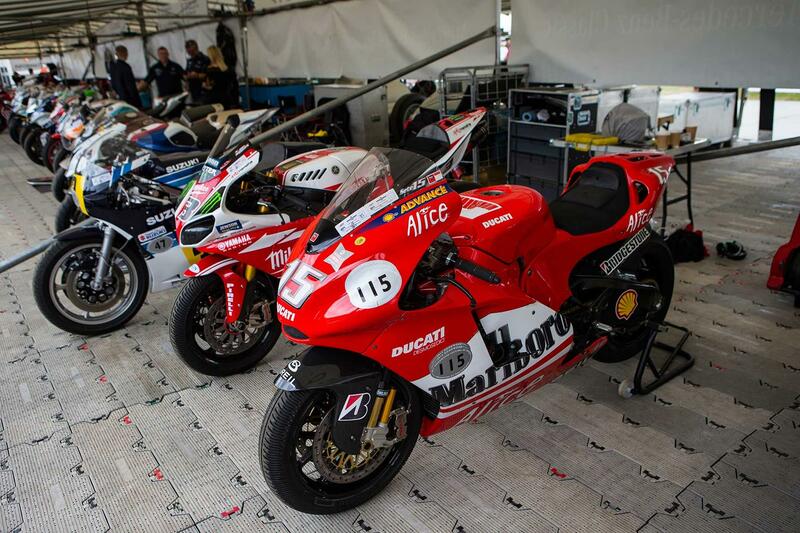 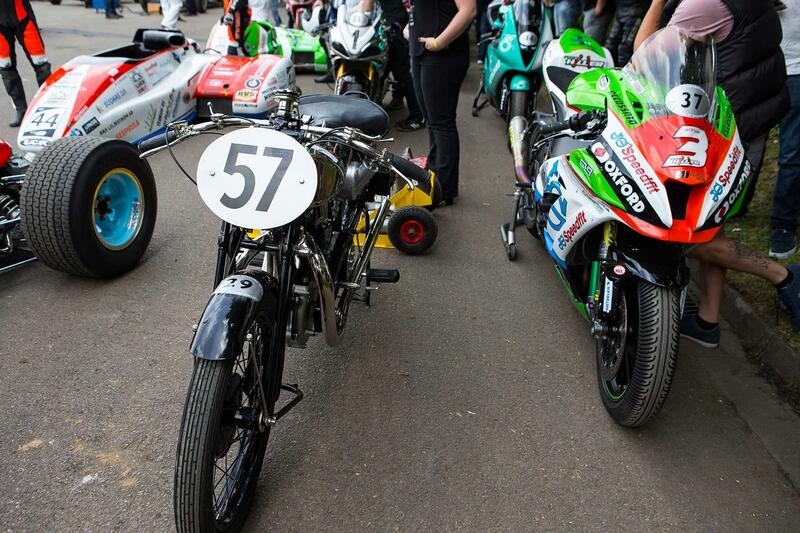 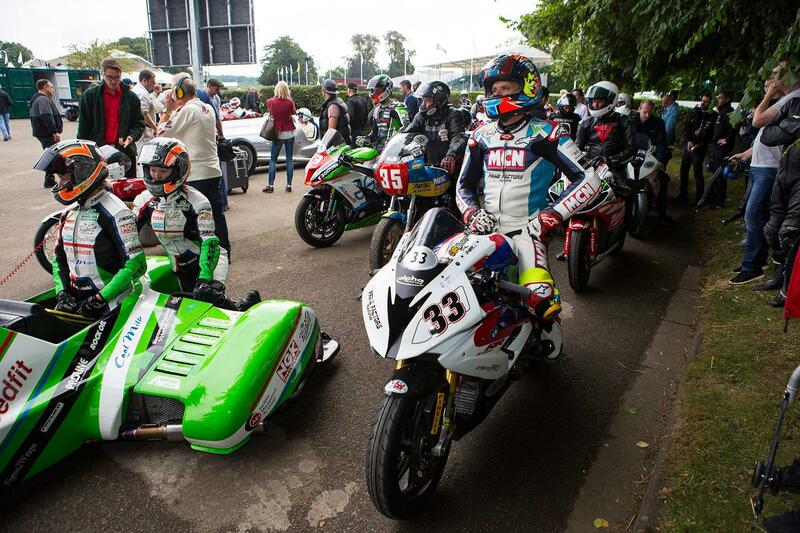 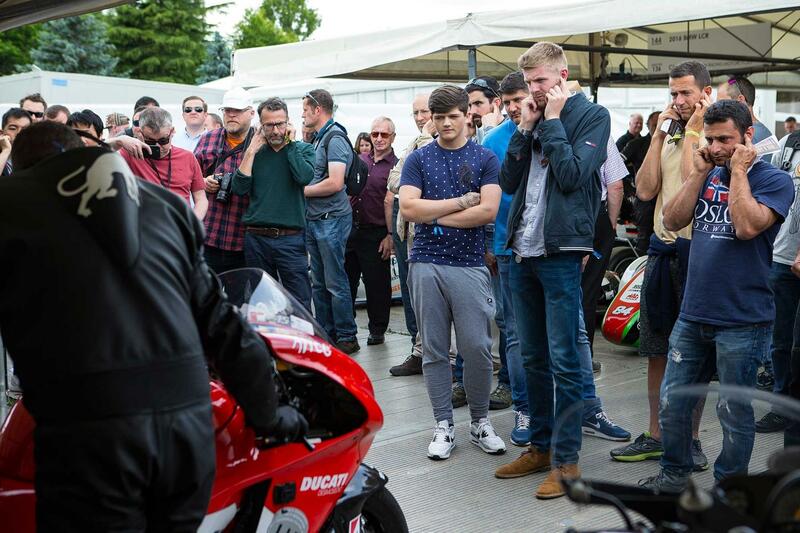 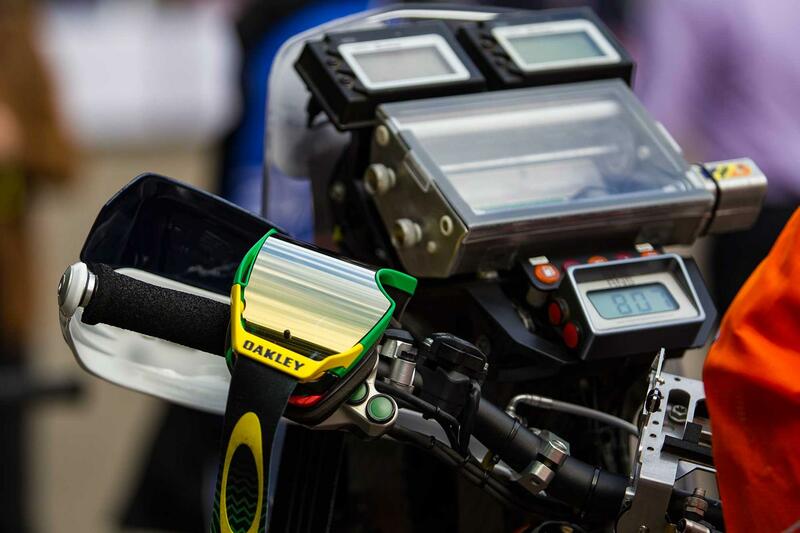 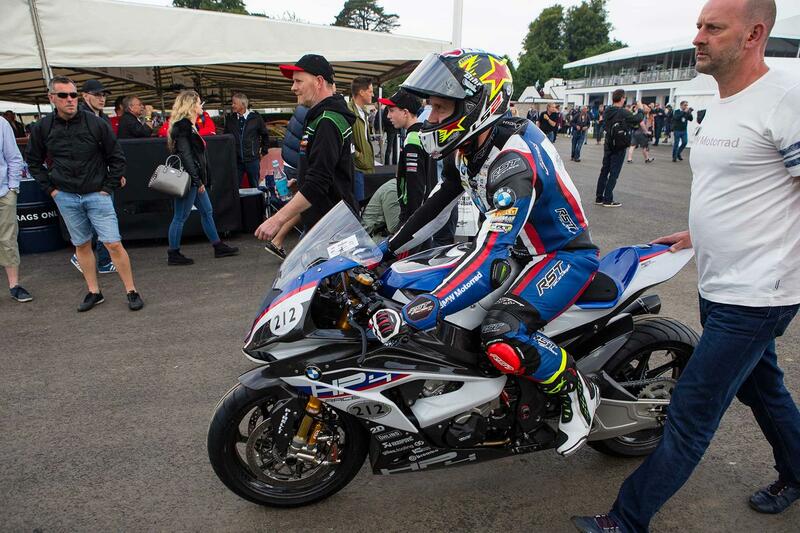 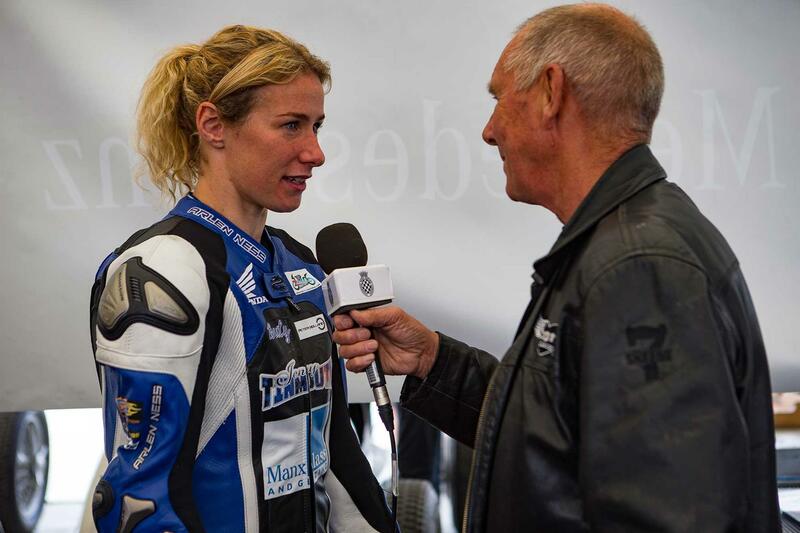 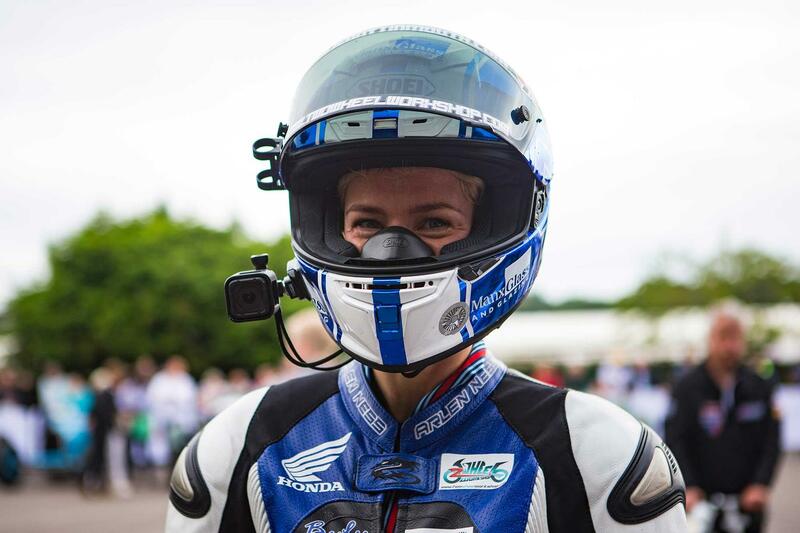 Elsewhere the sold out event was awash with the evocative sounds, colour and smells of some of bike racing’s most famous metal including Bruce Anstey’s Padgetts Yamaha YZR500, Ian Hutchinson’s Tyco BMW S1000RR, the Norton SG6 V4-RR and James Hillier’s JG Speedfit Kawasaki ZX-10R, classic Grand Prix Suzukis and Ducatis , Josh Brookes’ BSB-winning Yamaha R1, the new BMW HP4 Race, Sam Sunderland’s Dakar-winning KTM and the only Foggy Petronas FP1 race bike left in existence. 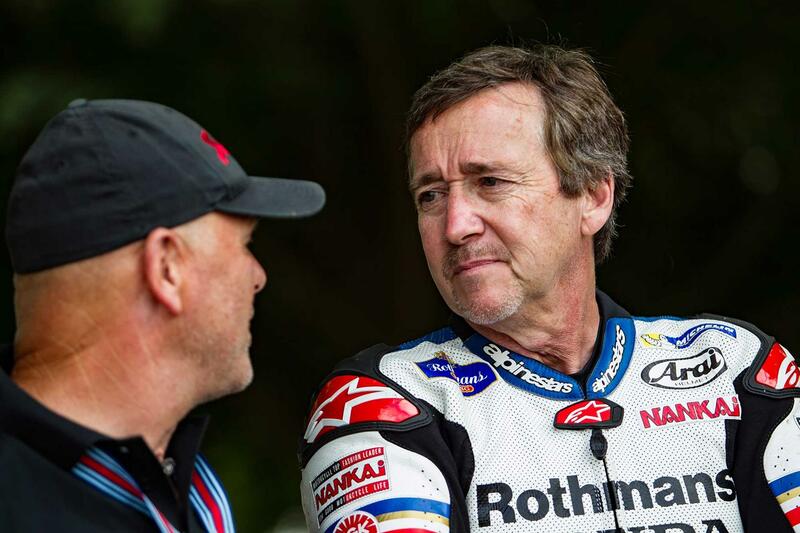 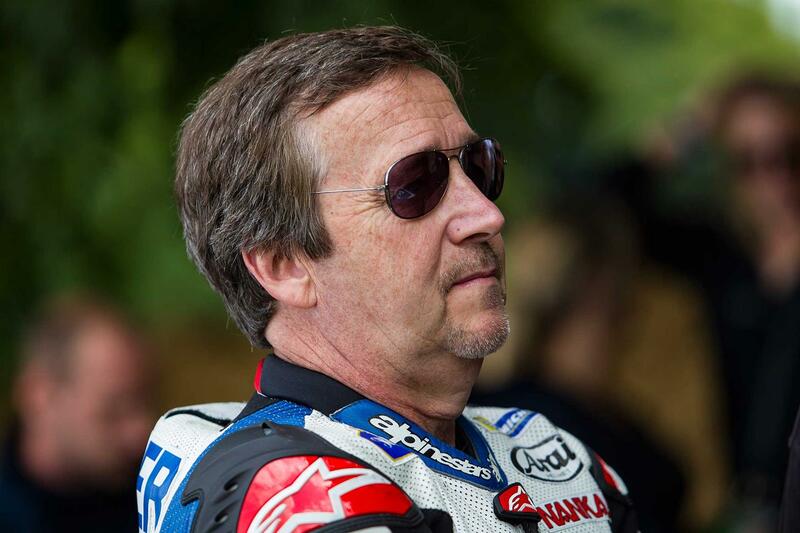 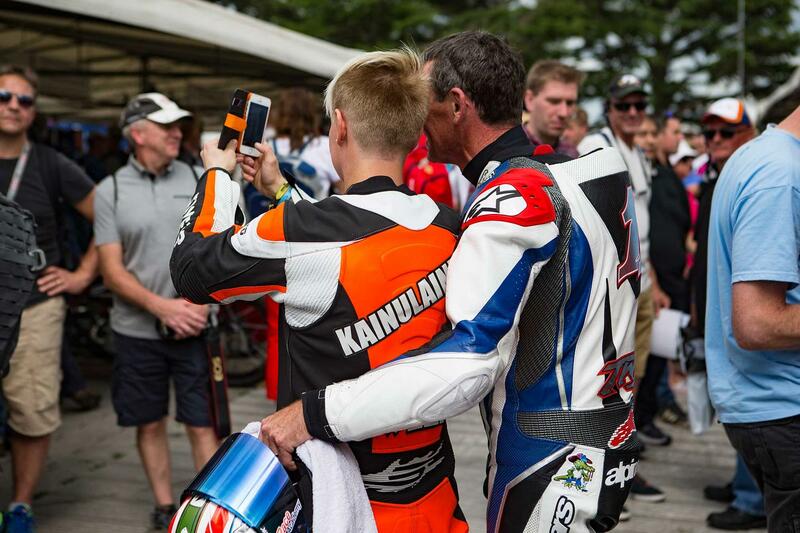 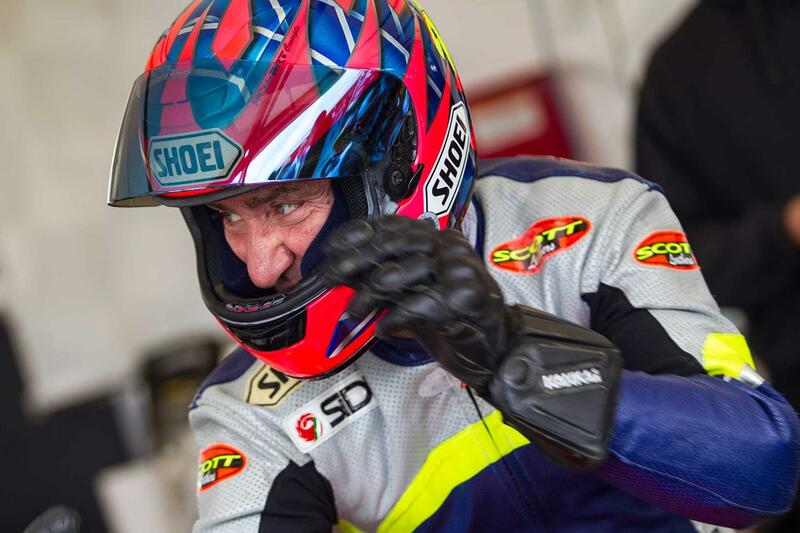 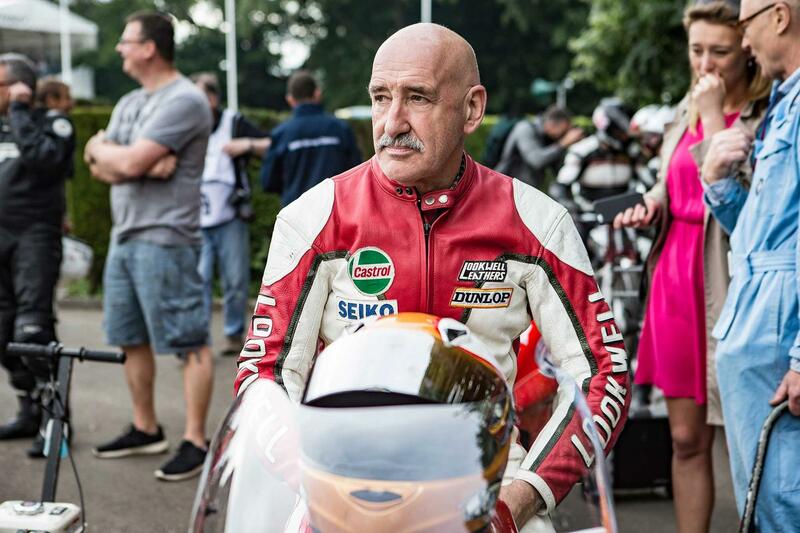 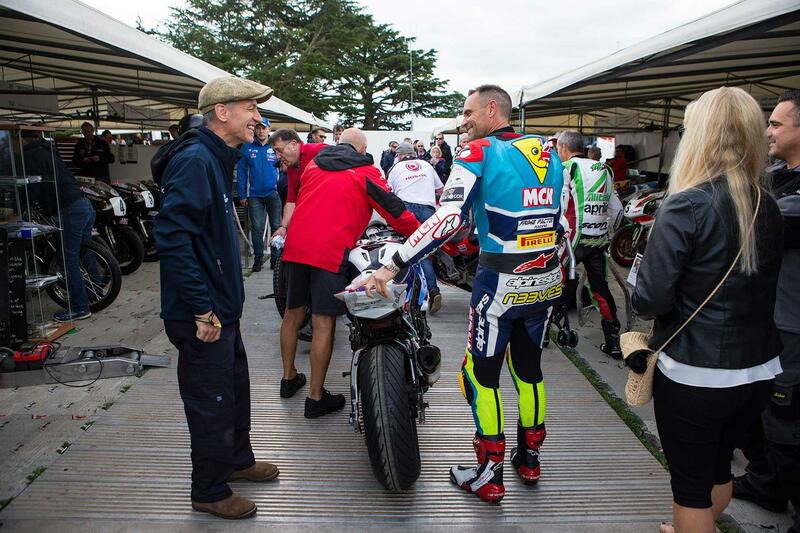 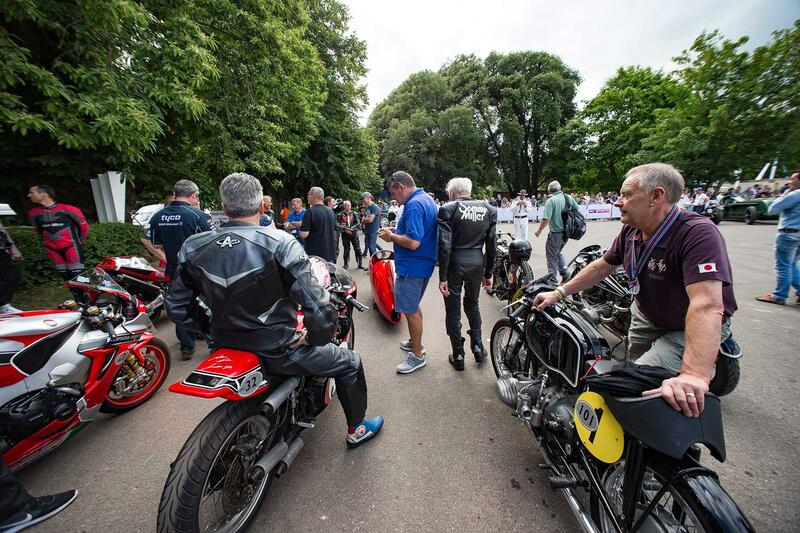 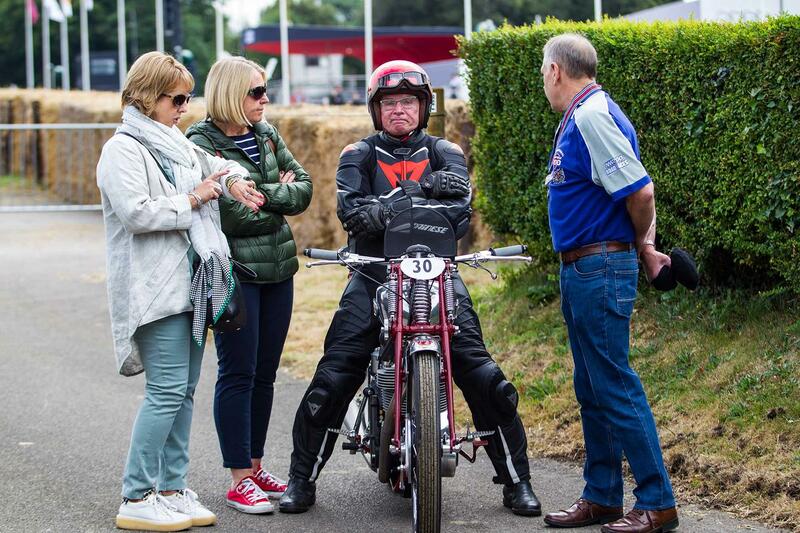 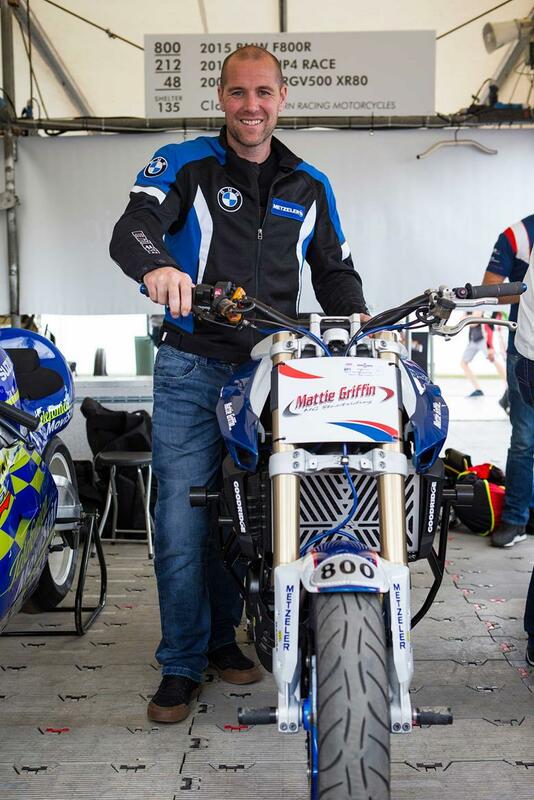 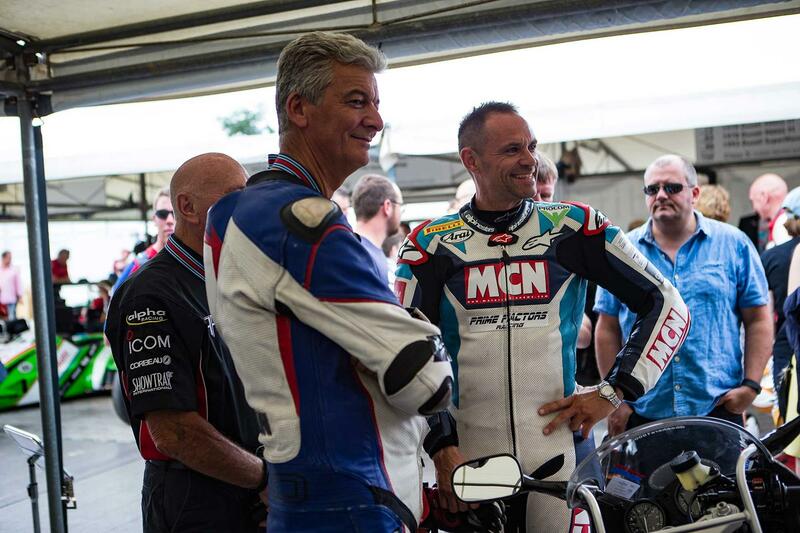 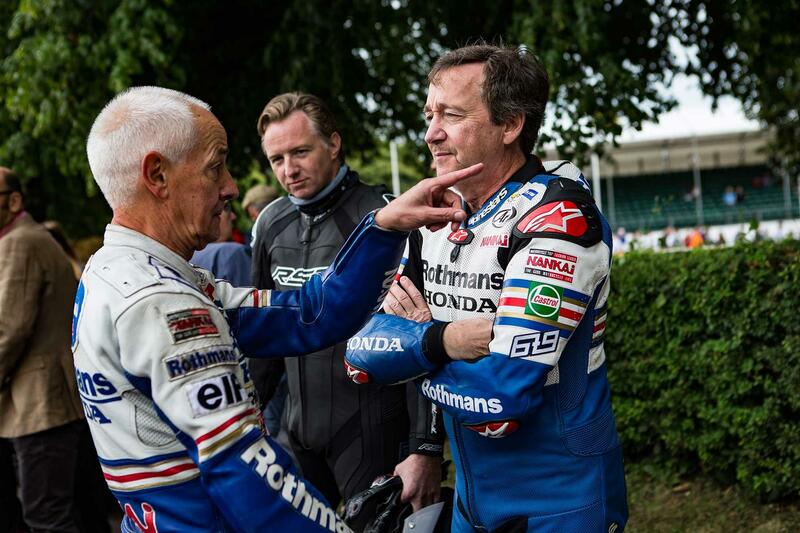 Biking celebs were out in force including Freddie Spencer, Freddie Sheene, Giacamo Agostini, Trevor Nation, Sammy Miller, Troy Corser, Jim Moodie, Gary Johnson, Kenny Foray, Jenny Tinmouth, Anstey, Hillier and Sunderland. 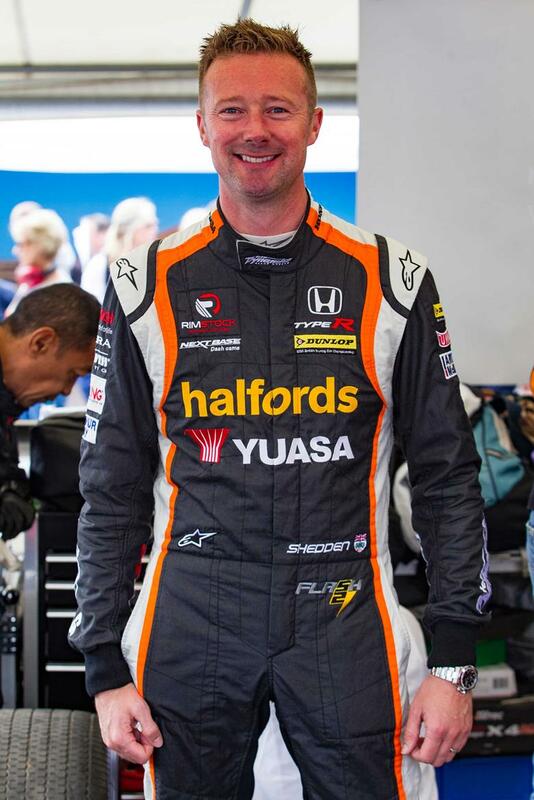 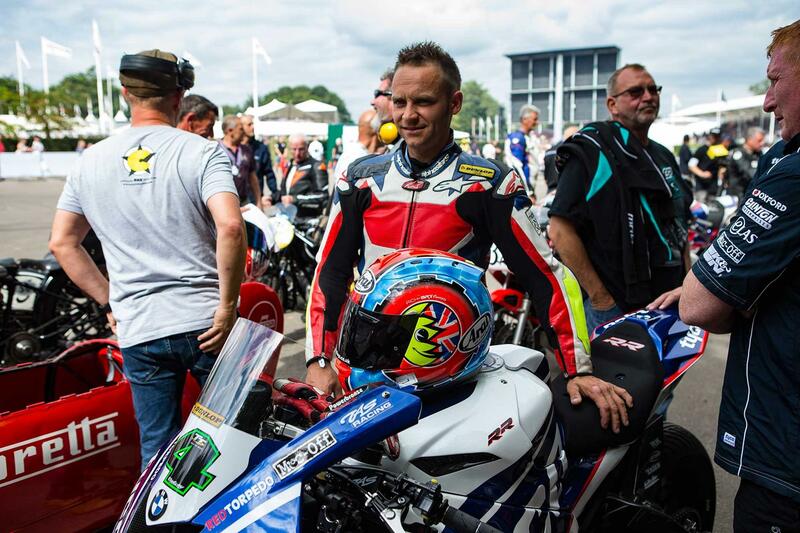 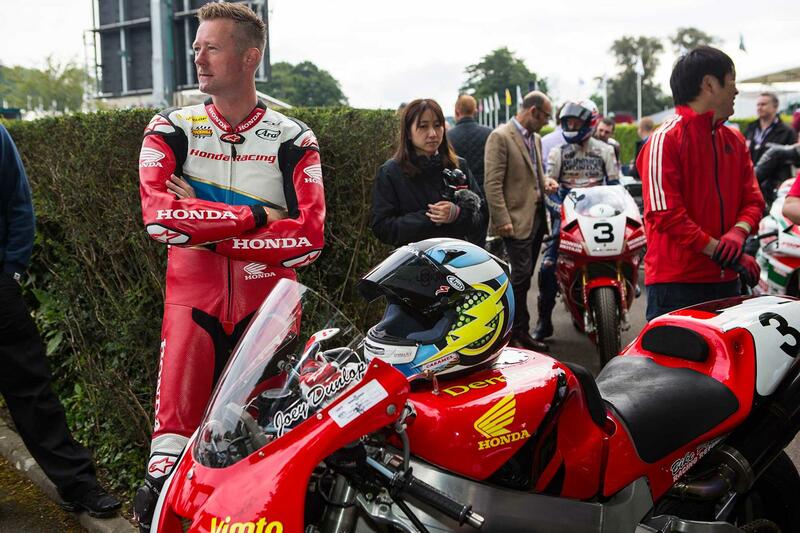 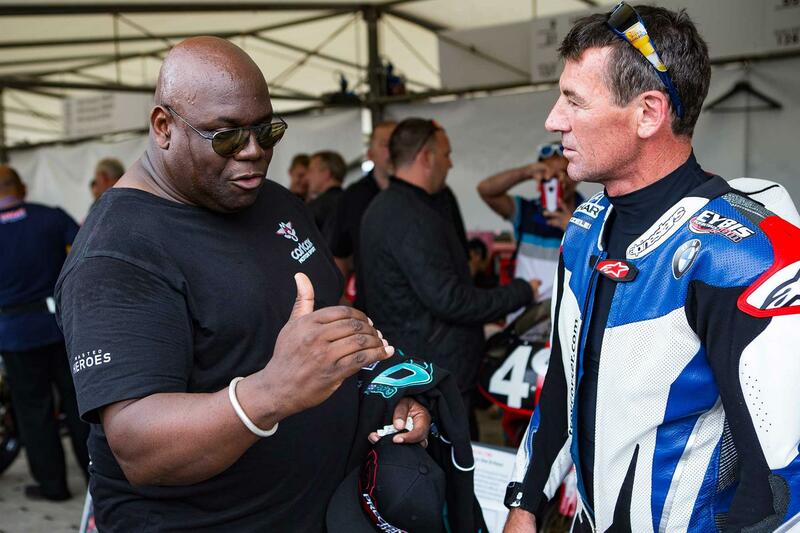 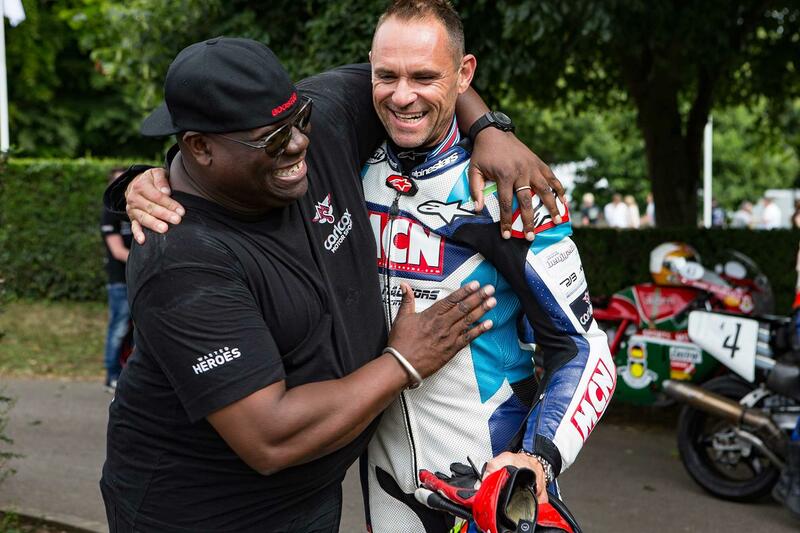 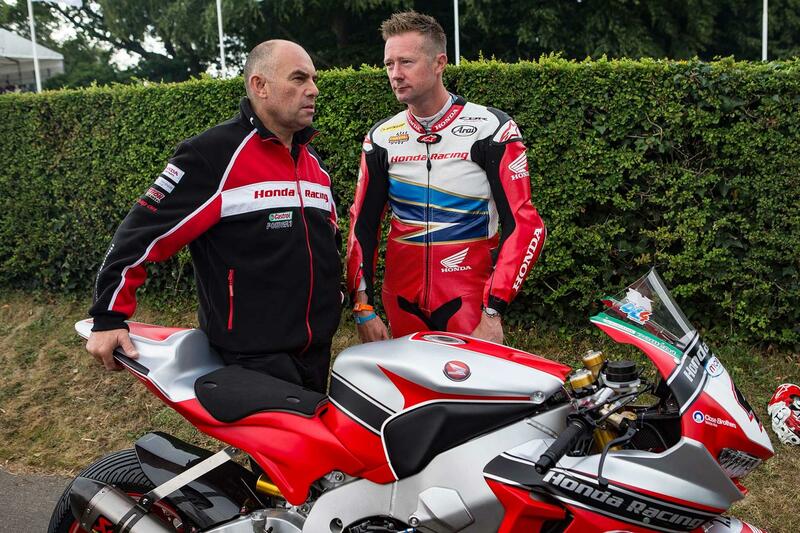 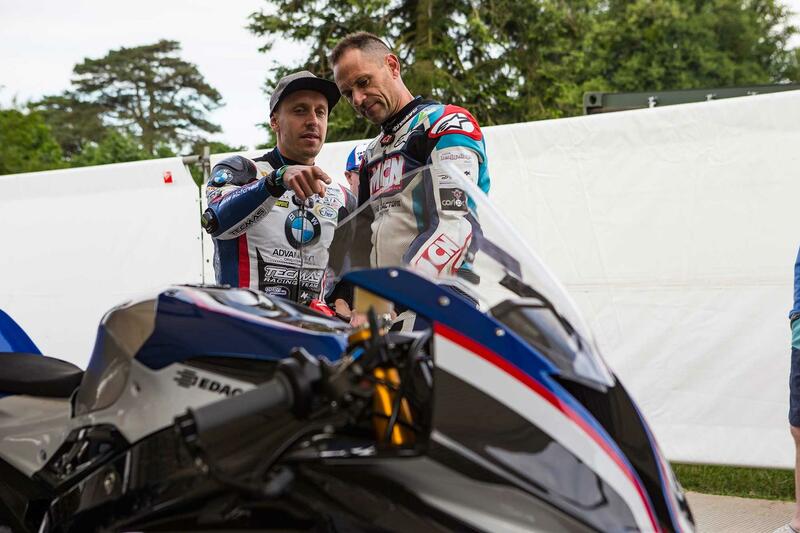 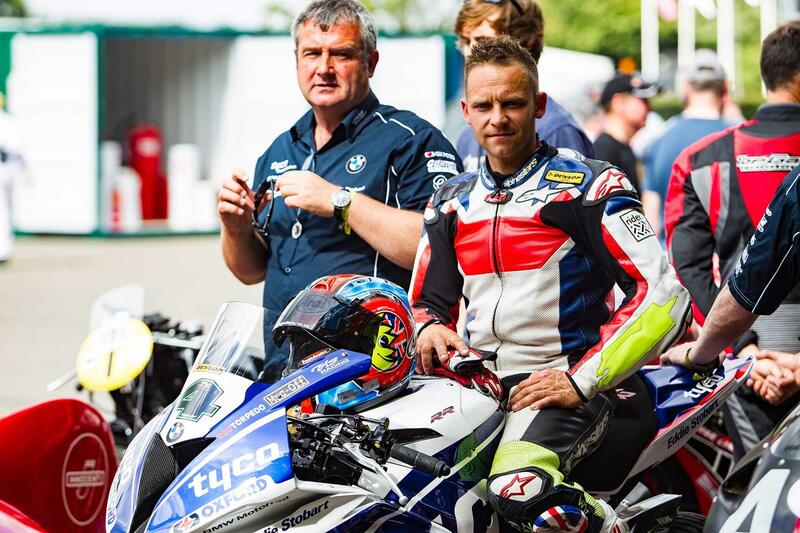 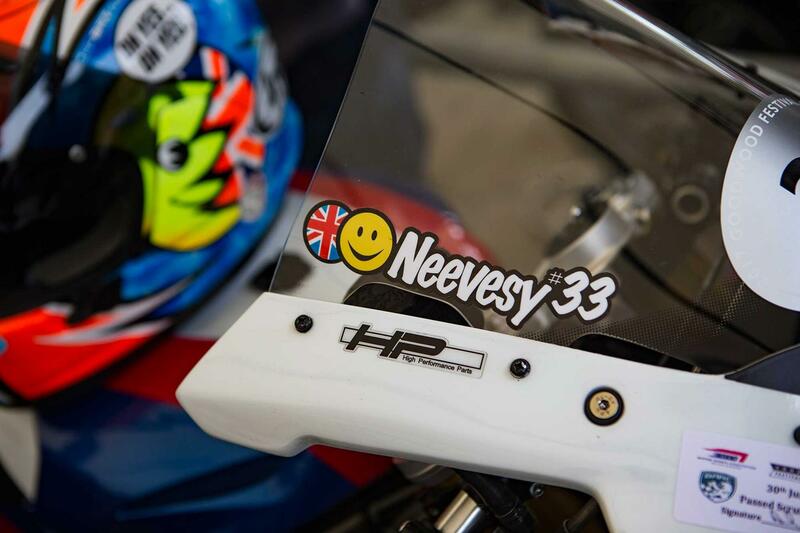 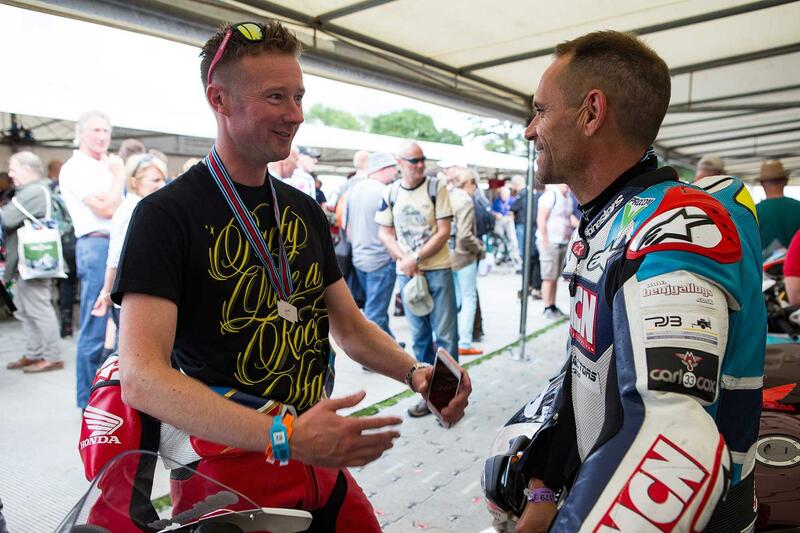 British Touring car legends Matt Neal and Gordon Sheddon took turns on the BSB Blade and Bike-mad DJ and Michael Dunlop sponsor Carl Cox also came along for the ride. 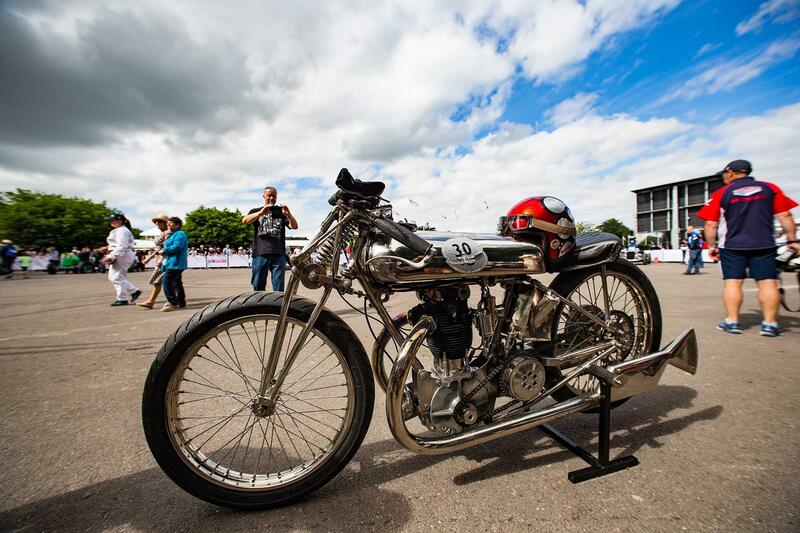 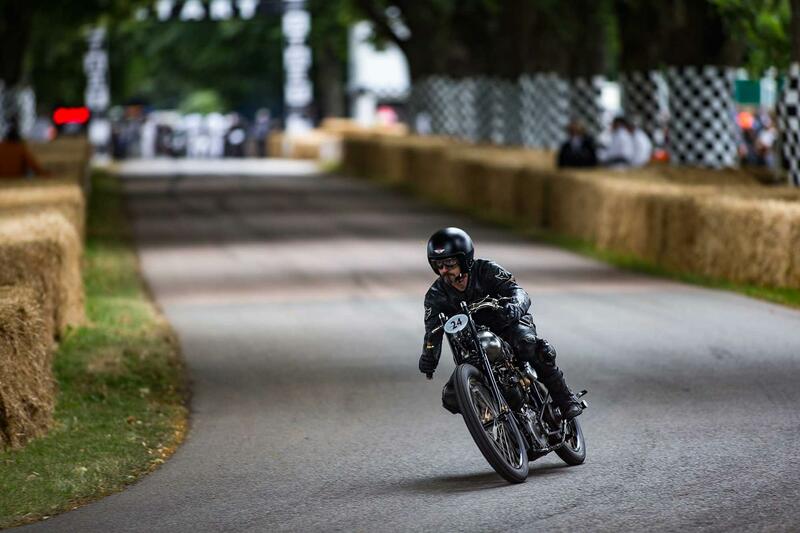 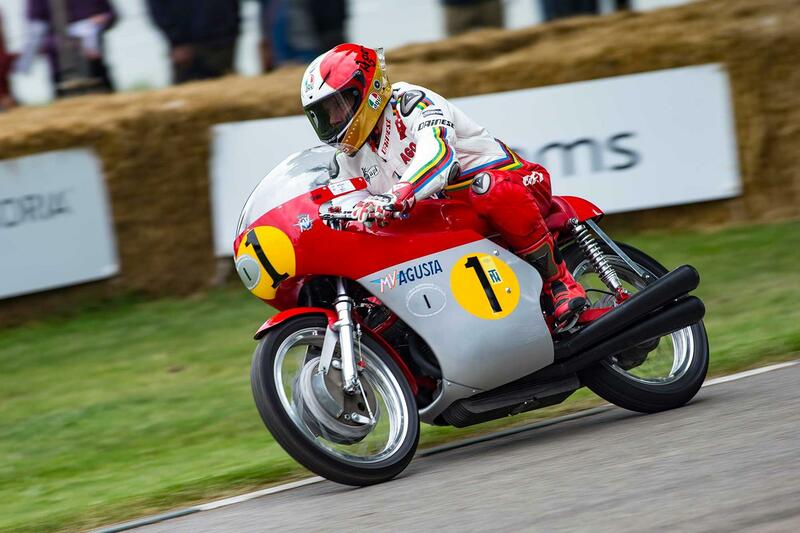 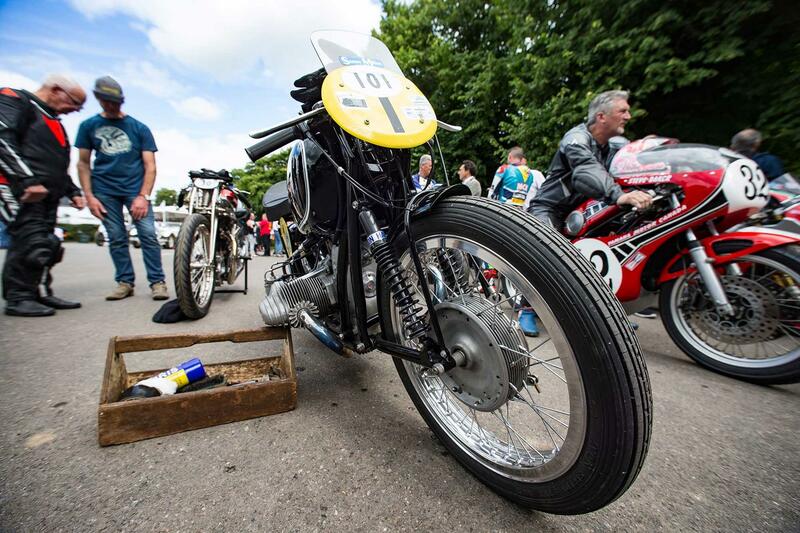 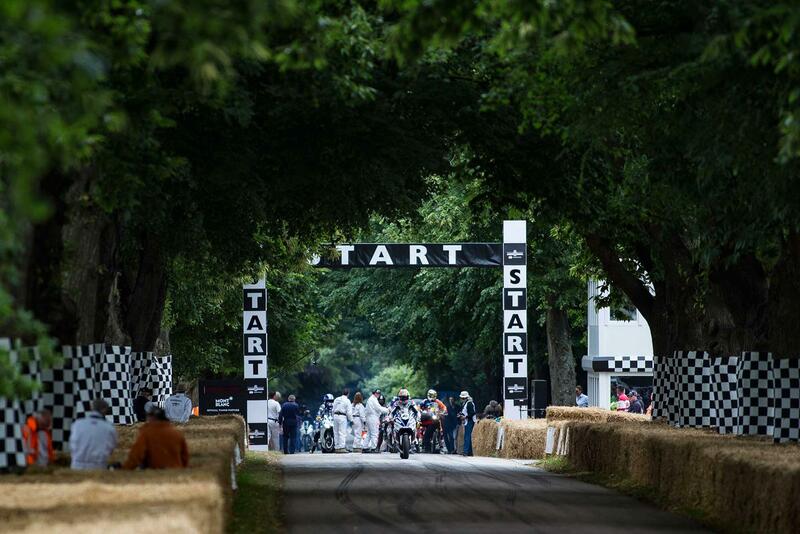 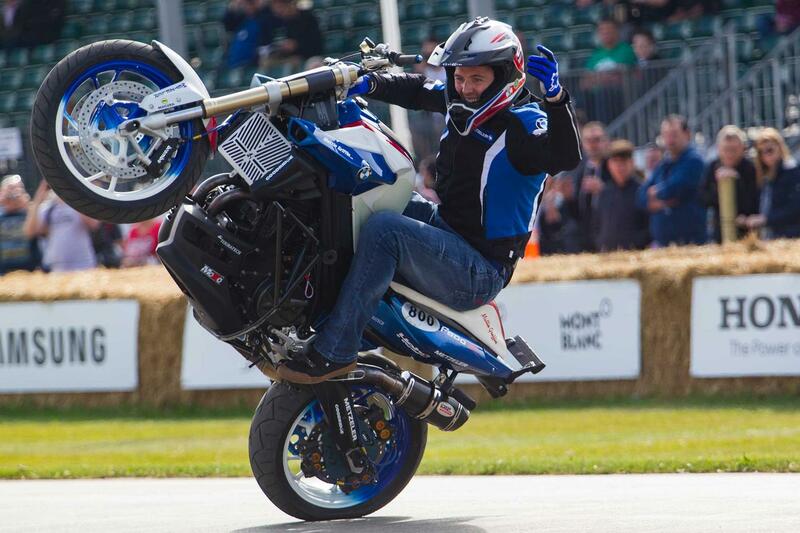 Goodwood’s next two-wheeled extravaganza is the Revival classic races in September with some very special rider announcements, due soon. 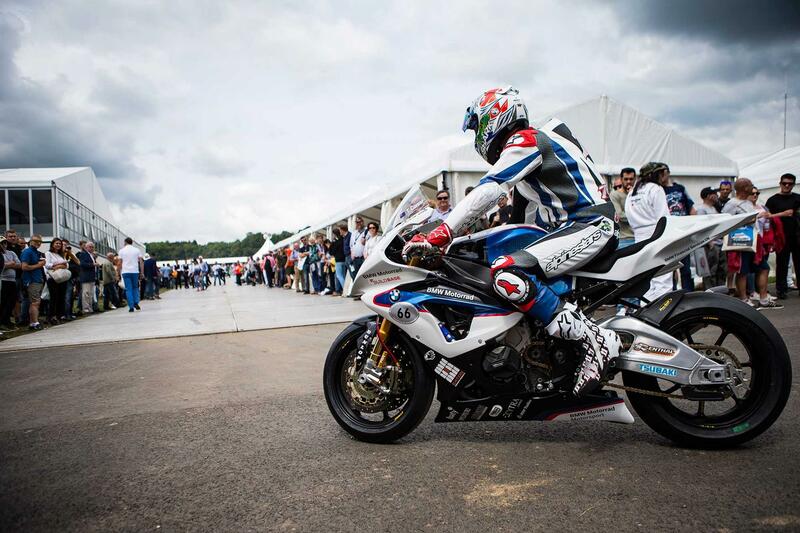 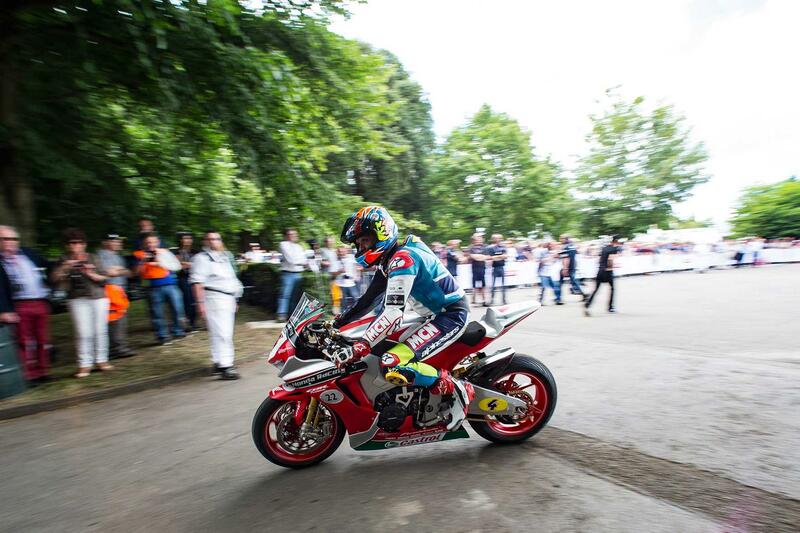 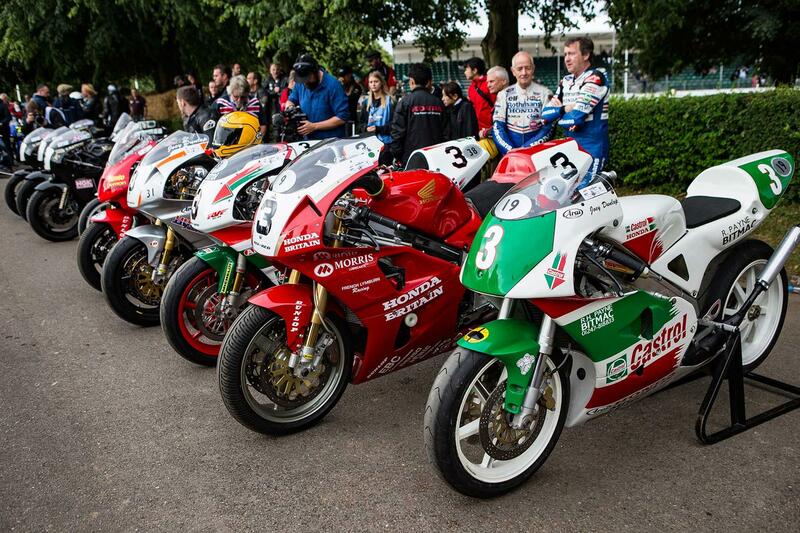 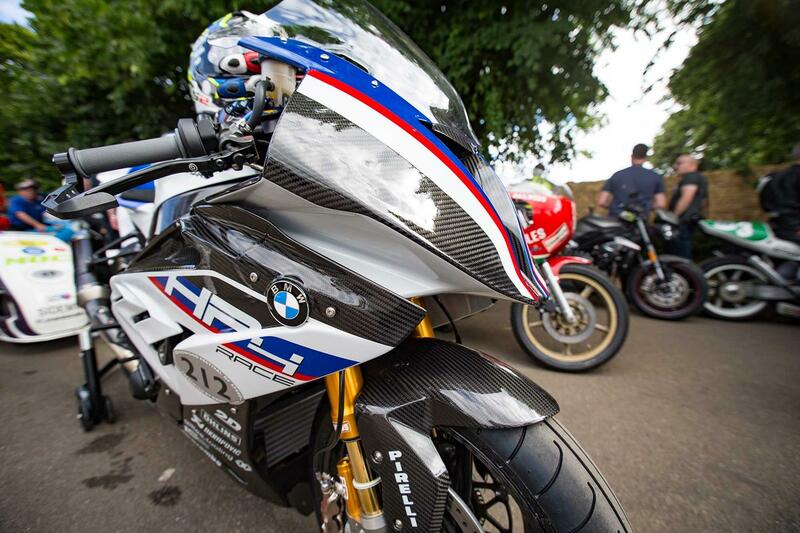 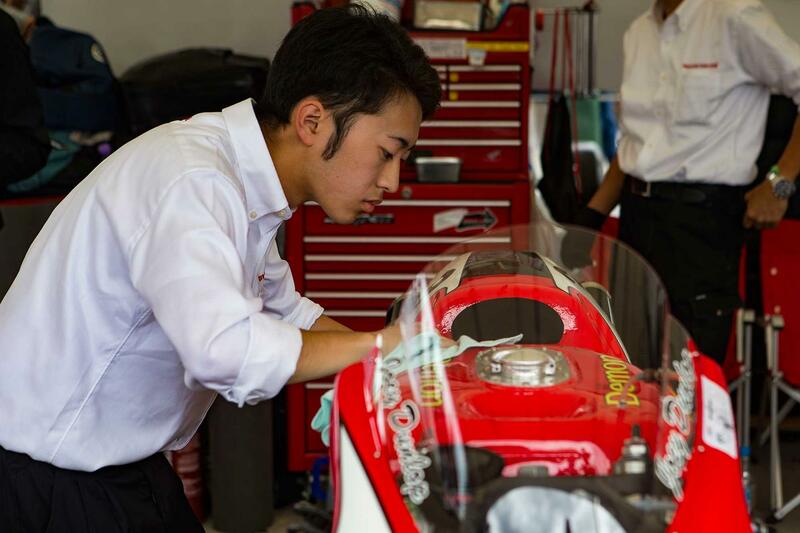 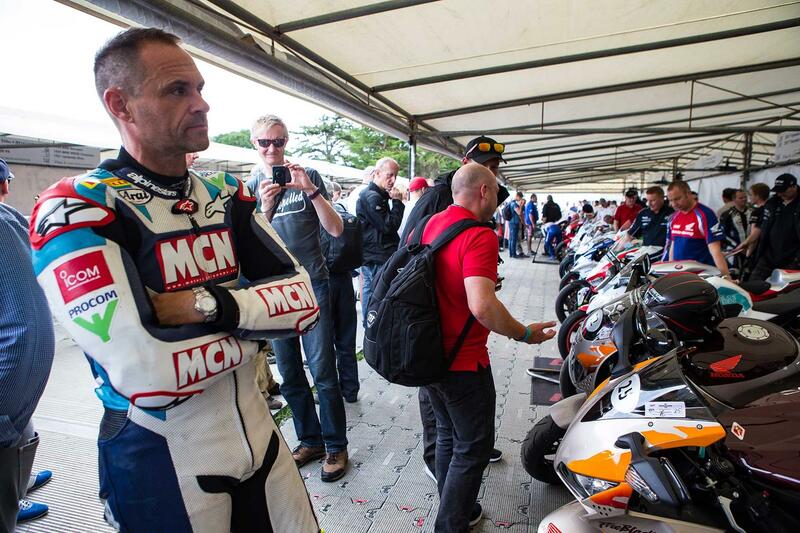 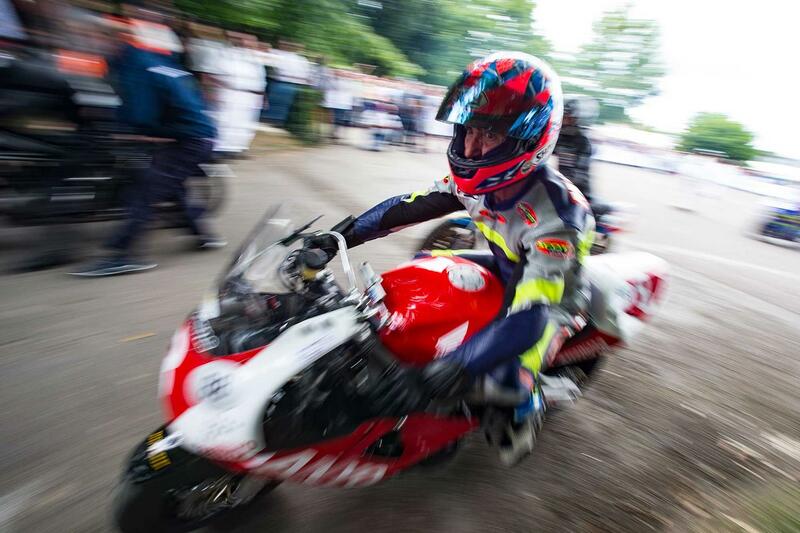 Plans have also begun for next year’s Festival of Speed, which will celebrate 30 years of WSB.